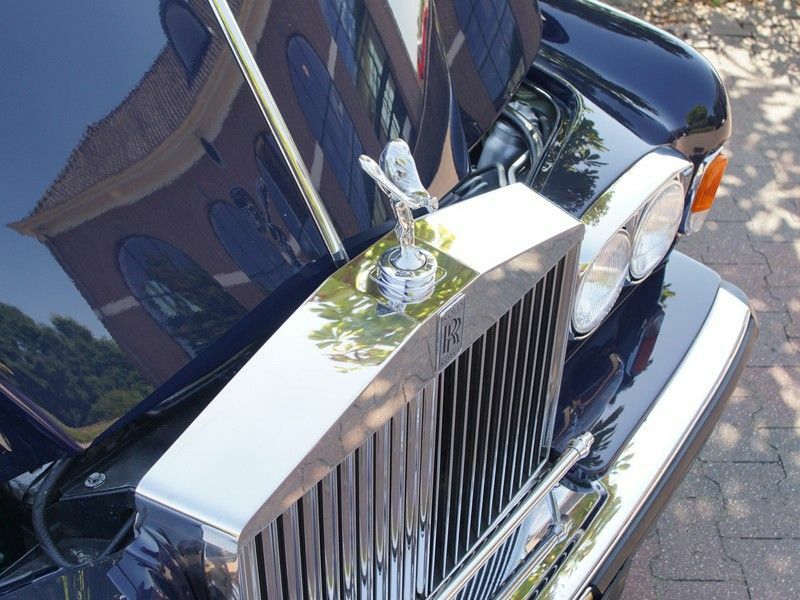 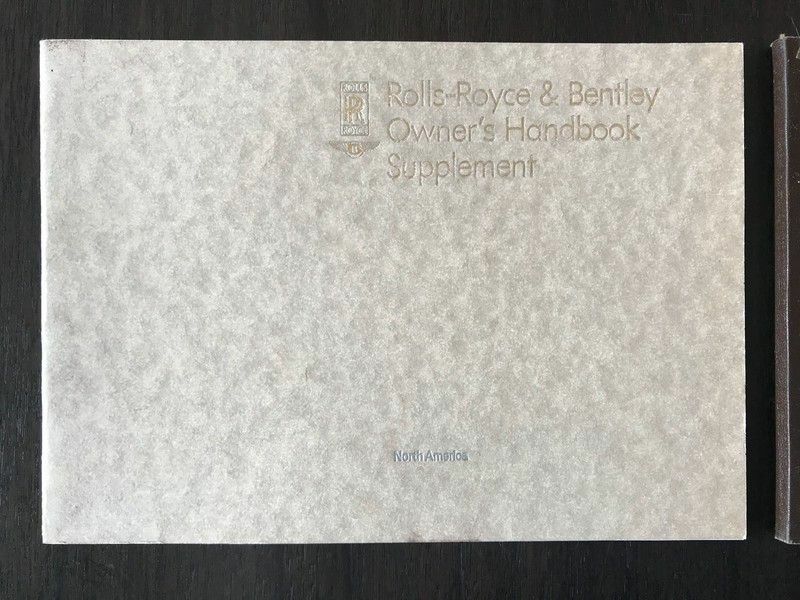 Rolls Royce in Beverley Hills supplied from this particular model from new to a client in Paradise Valley, Arizona on the 23rd August 1983. 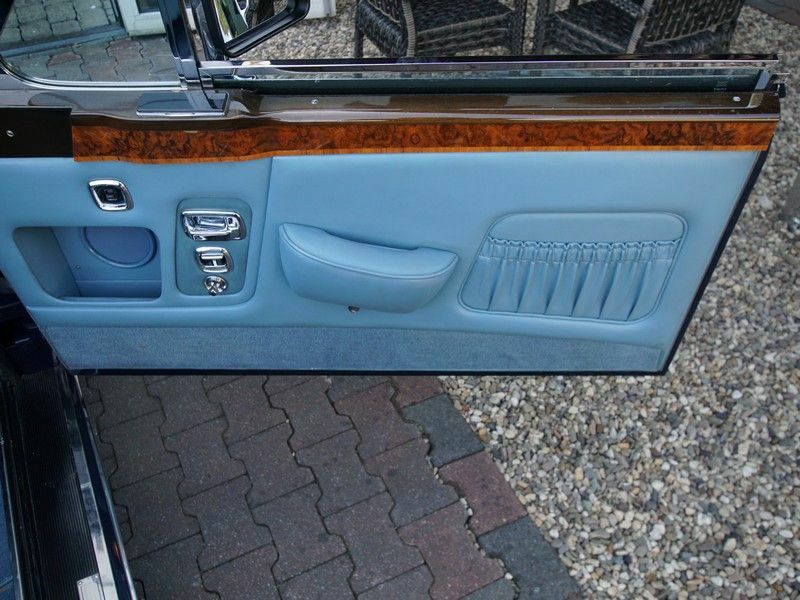 A few years ago the car had a re-spray. 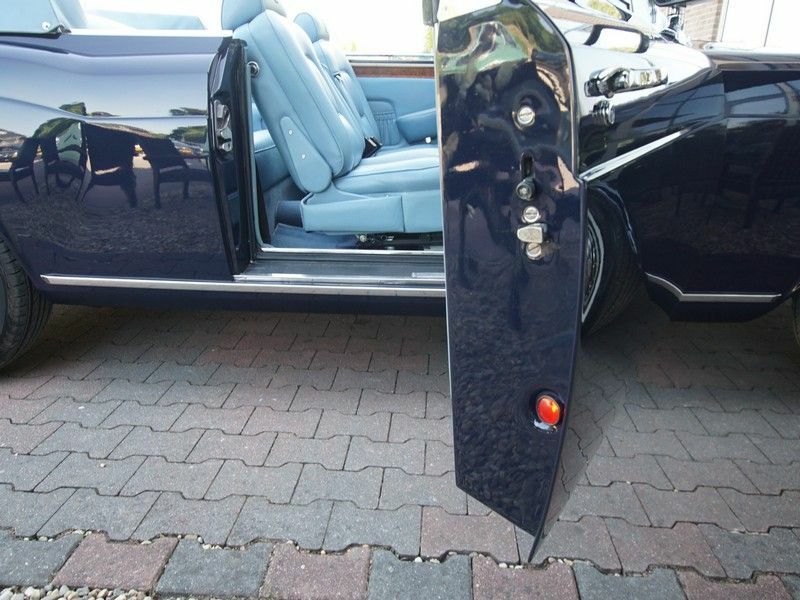 The nice bodywork has perfect fitting body panels and the chrome details are in a wonderful condition. 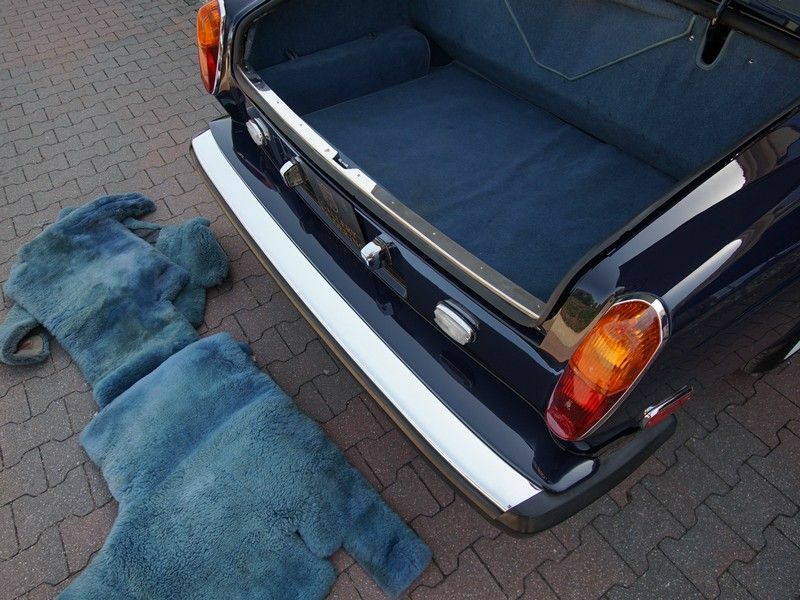 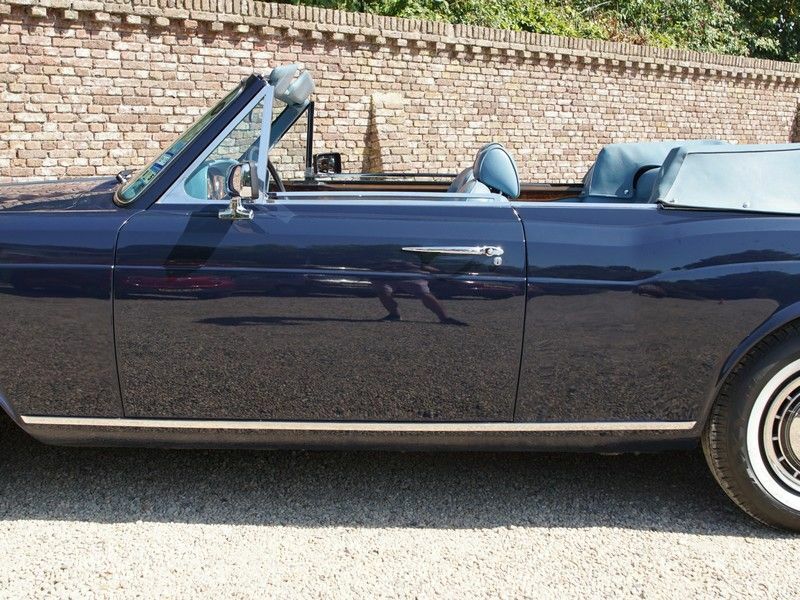 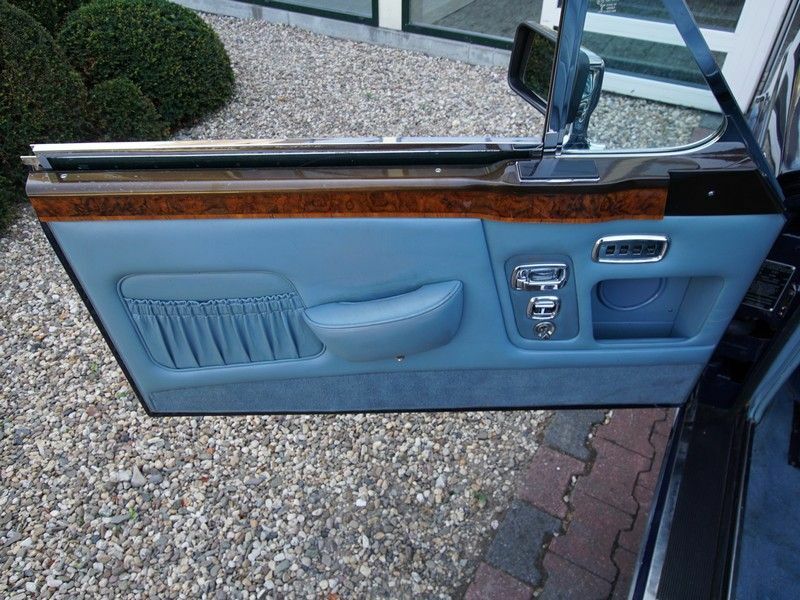 Finished in navy blue pared with a fantastic ‘Light Blue 4135’ leather interior with matching carpets and light blue soft-top. 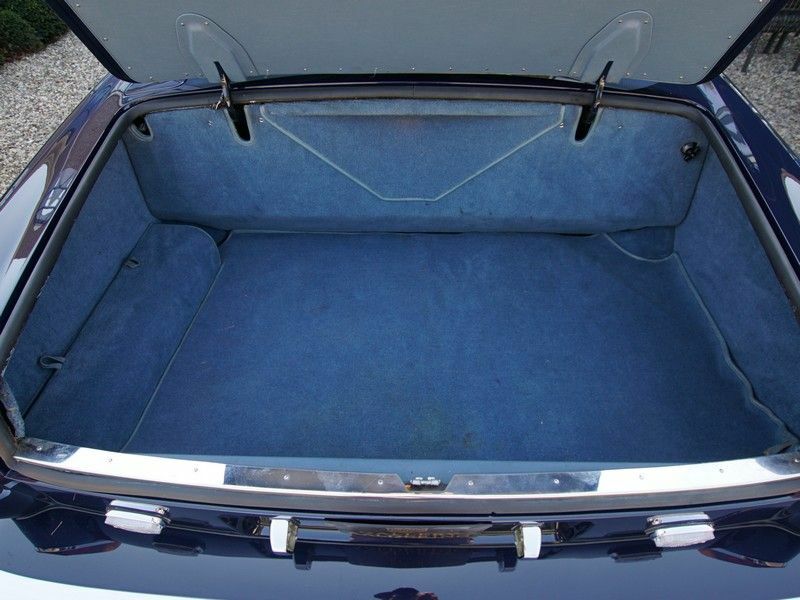 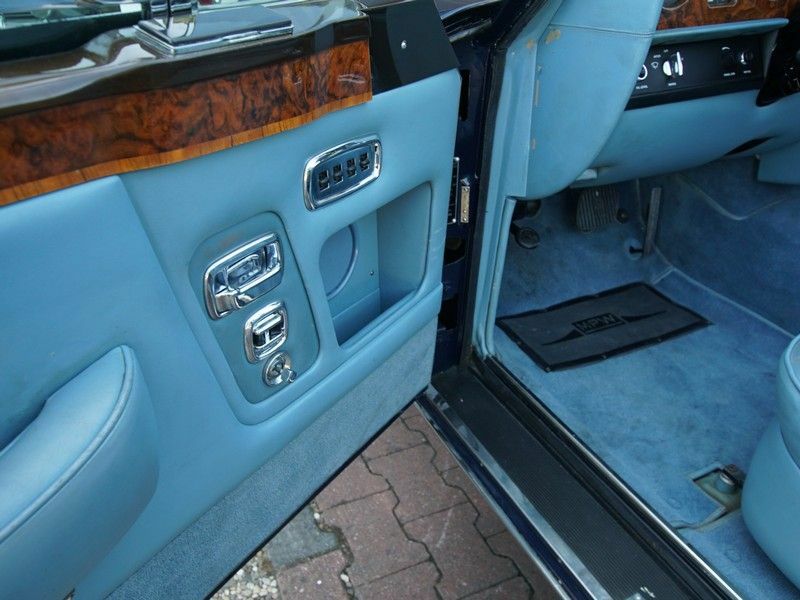 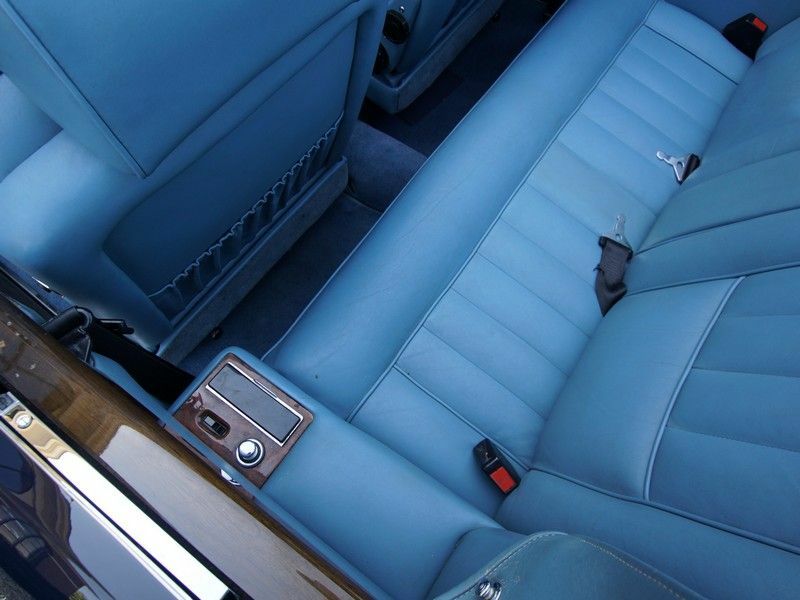 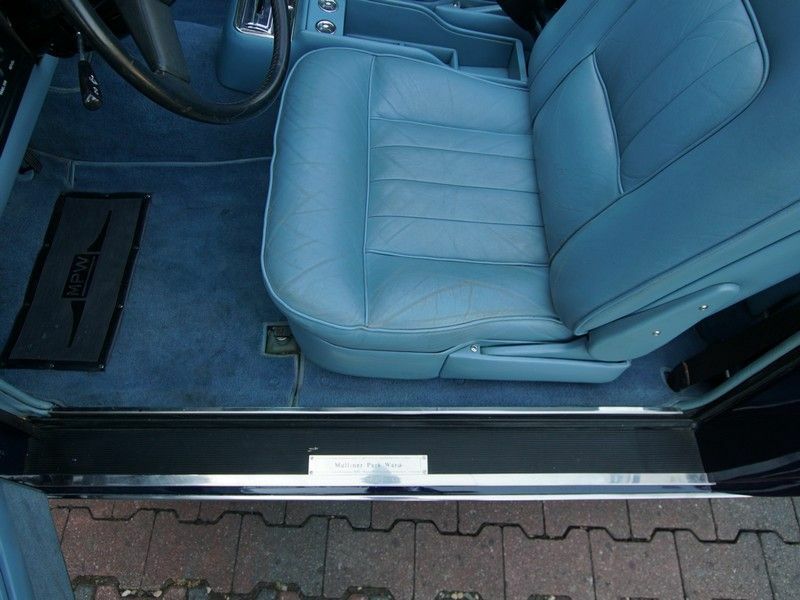 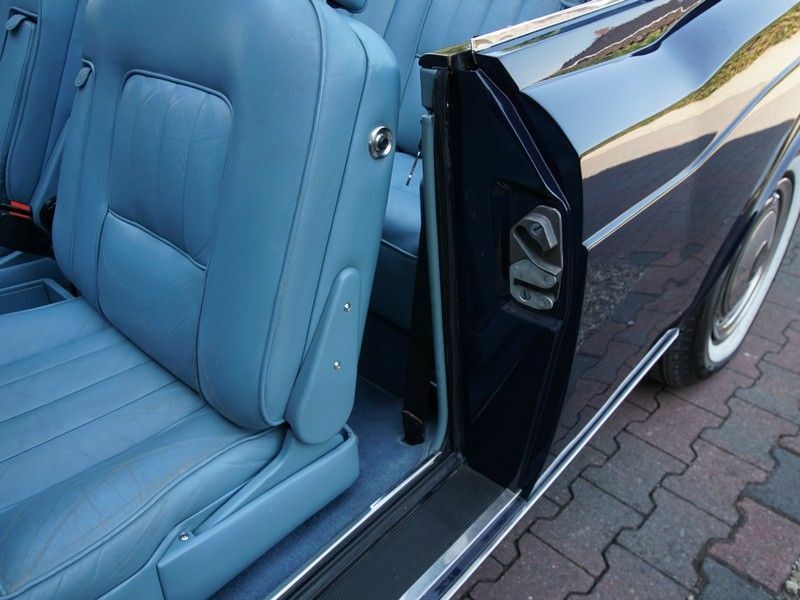 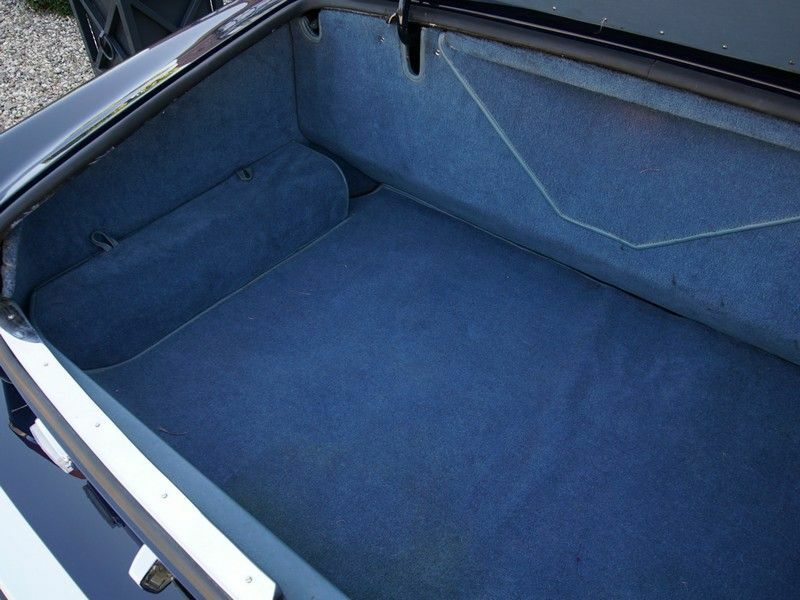 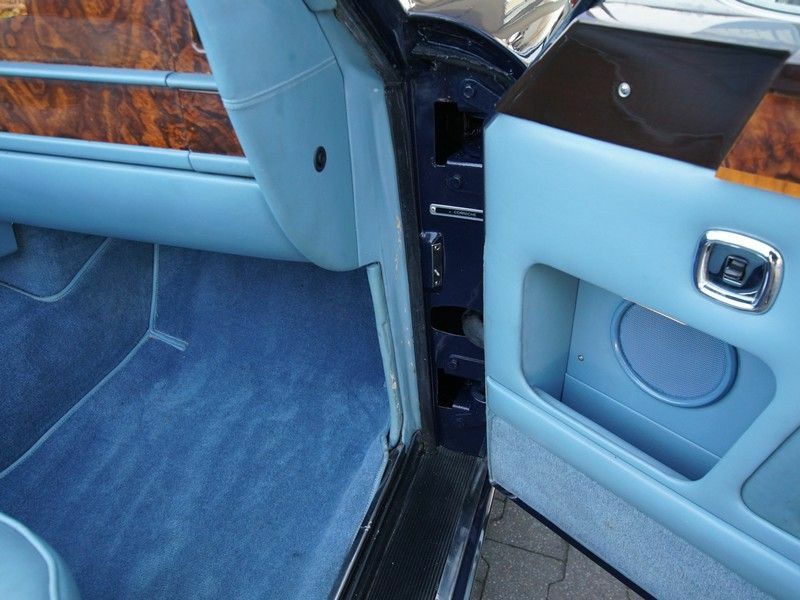 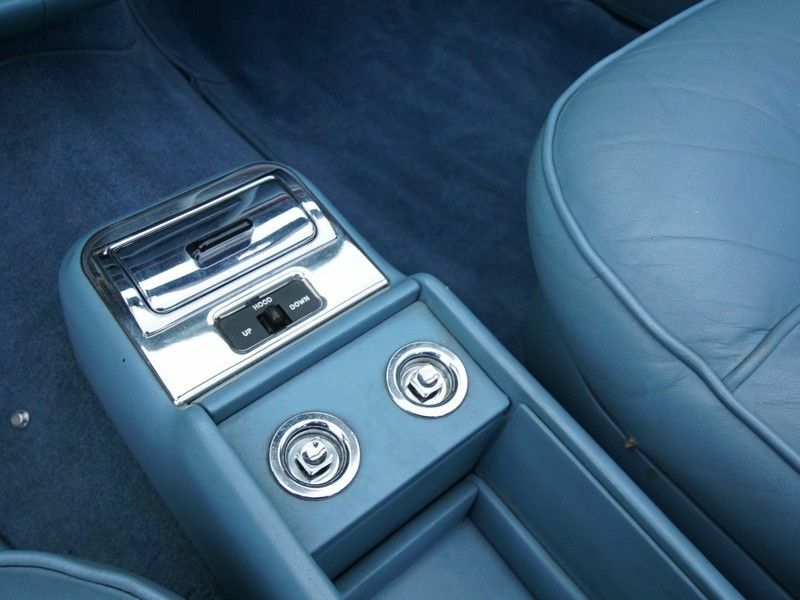 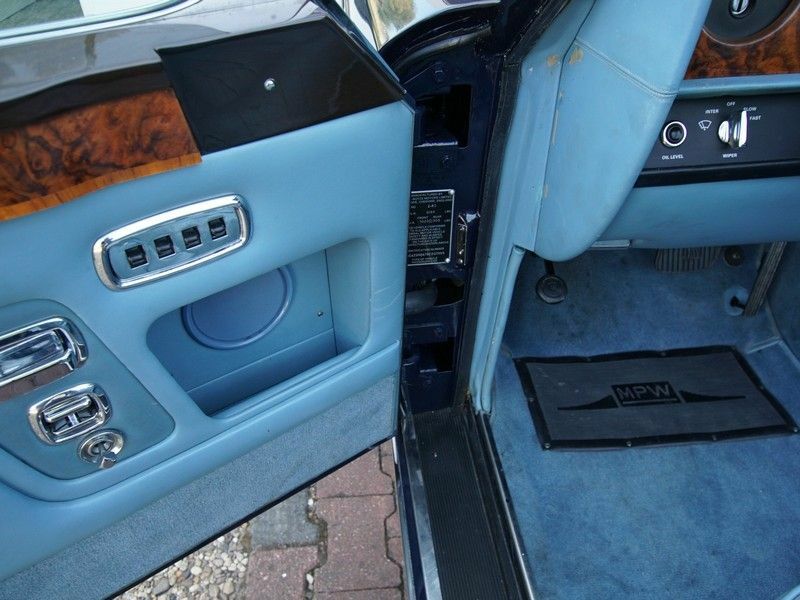 The cars` interior is in a pristine and original condition, even the original navy blue lambs woollen mats are still there! 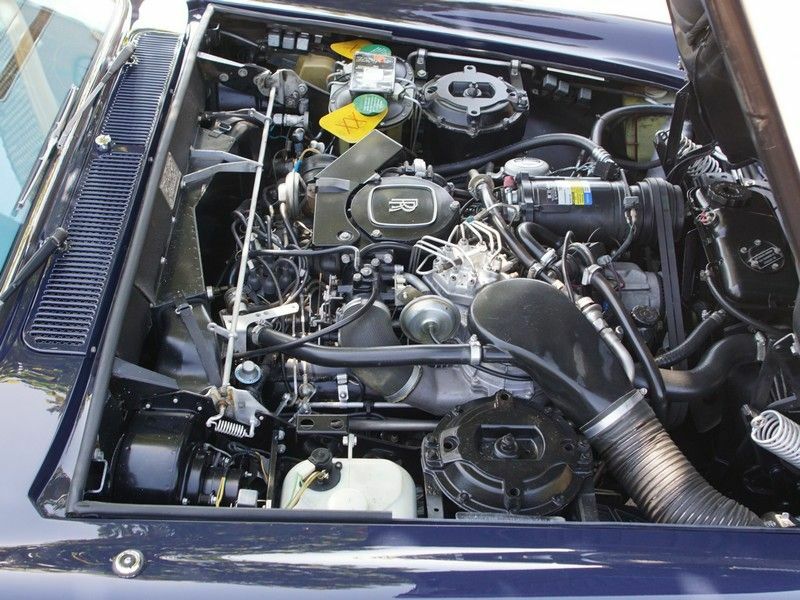 Mechanically she is in perfect working order and drives as expected. 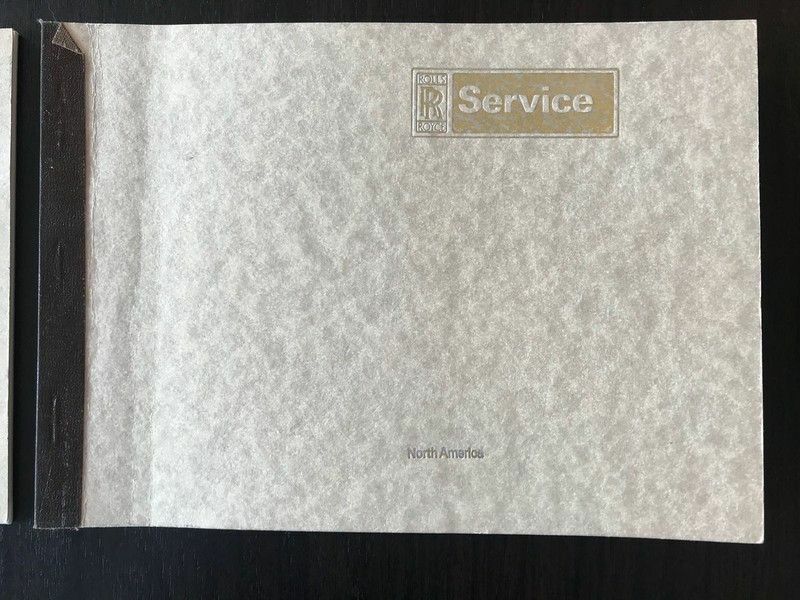 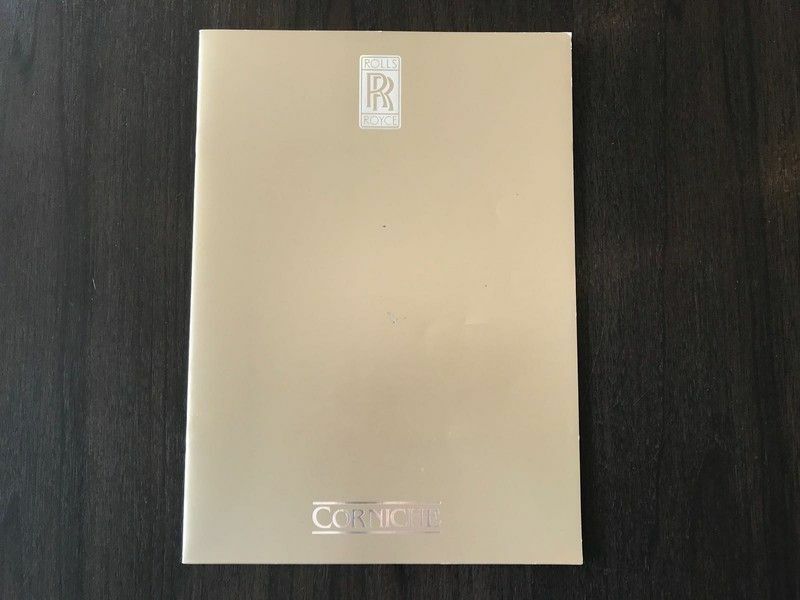 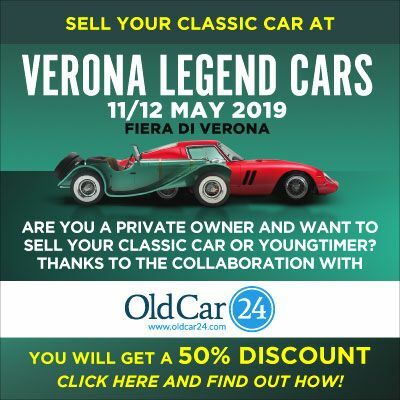 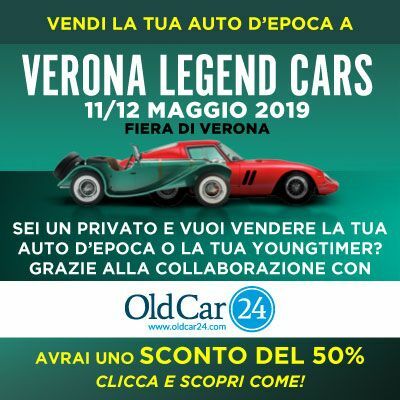 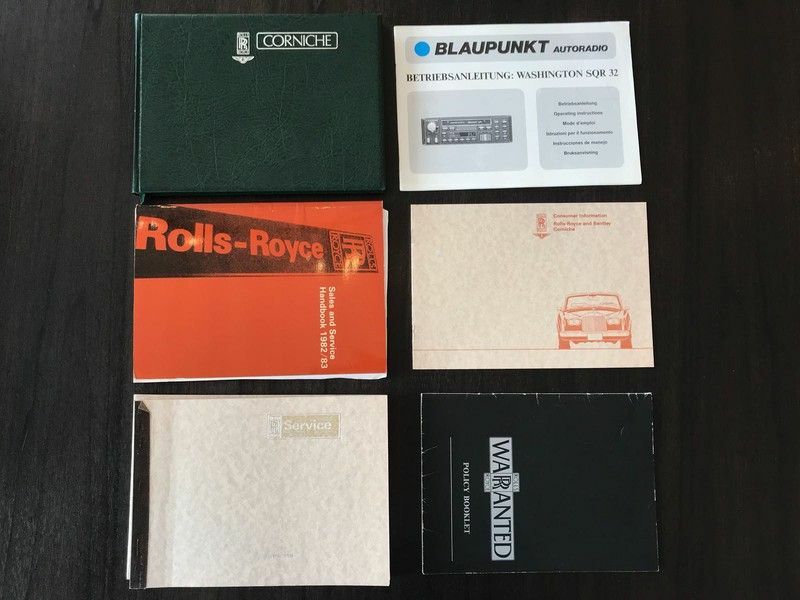 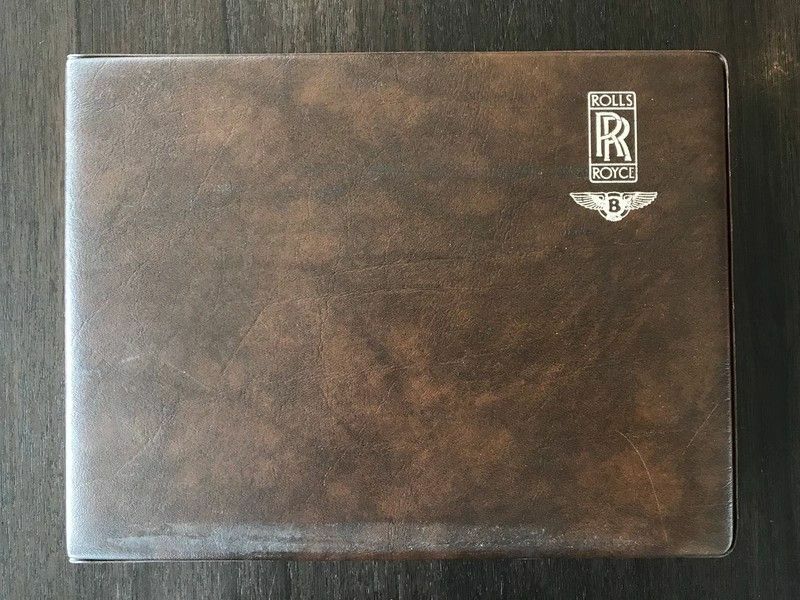 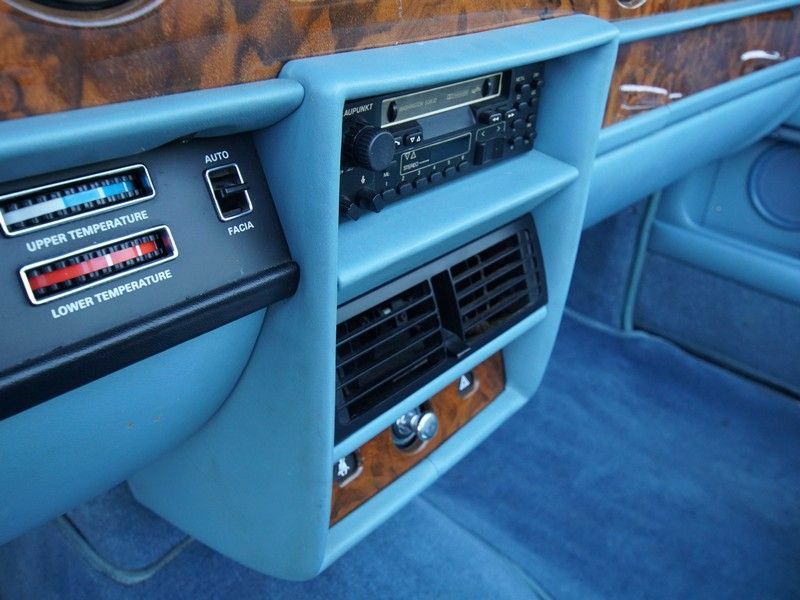 It comes with a complete set of documents including; the original service book and owners manual in the original car wallet, invoices and the guarantee card. 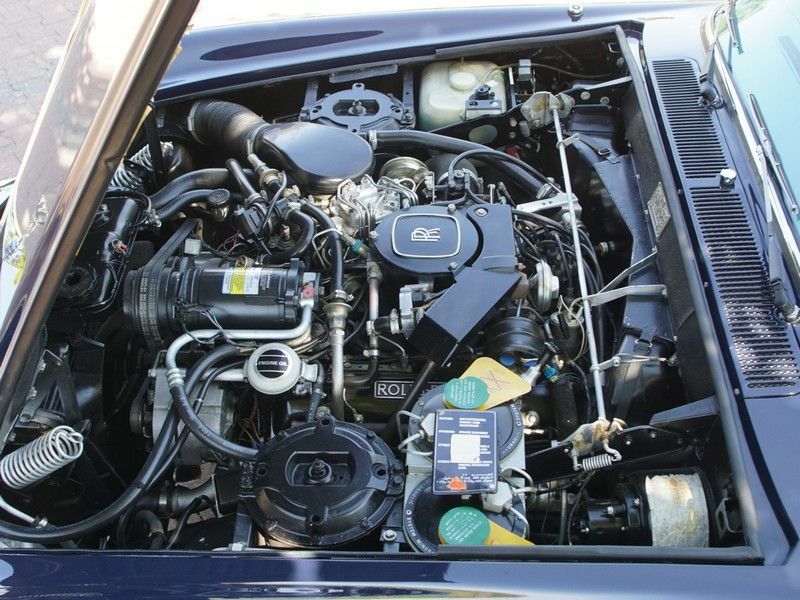 This car still has its original, matching numbers, engine. 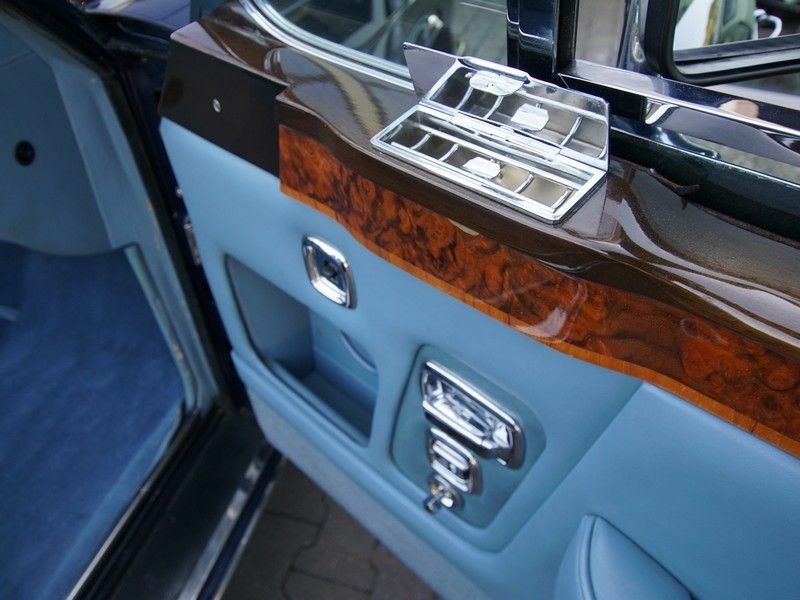 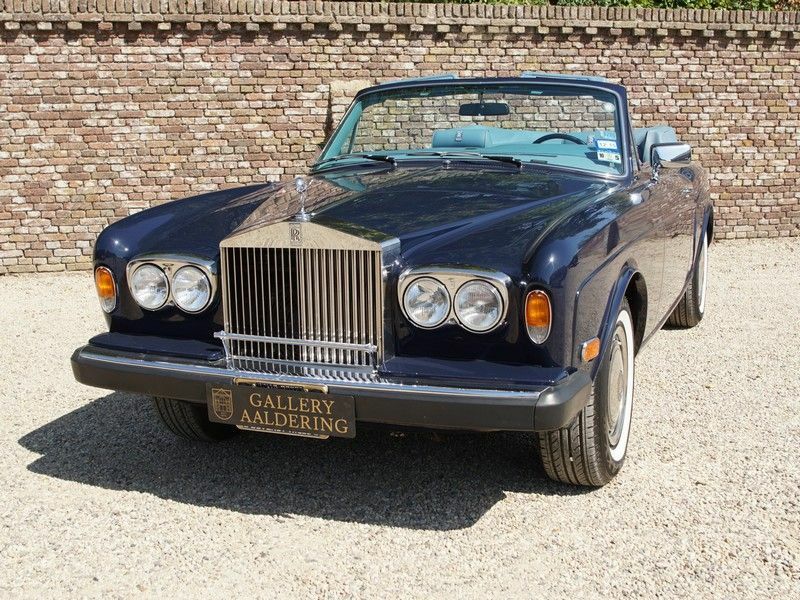 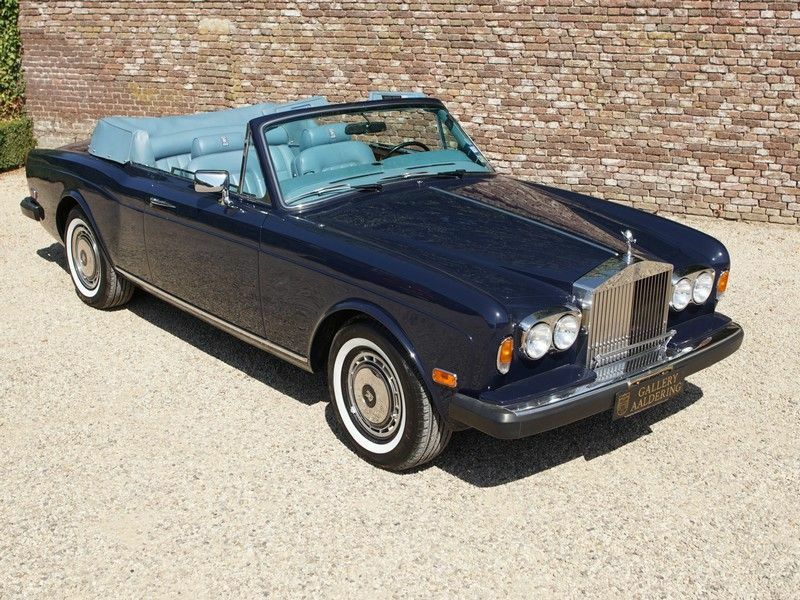 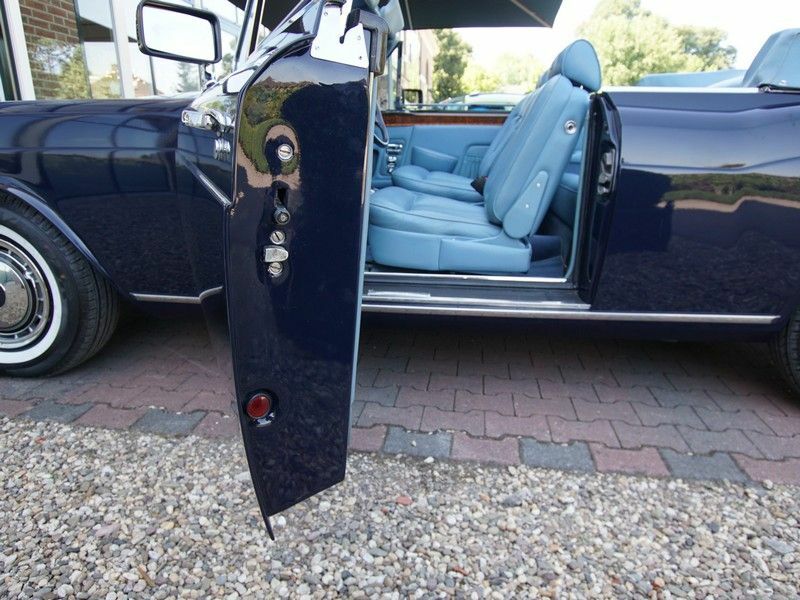 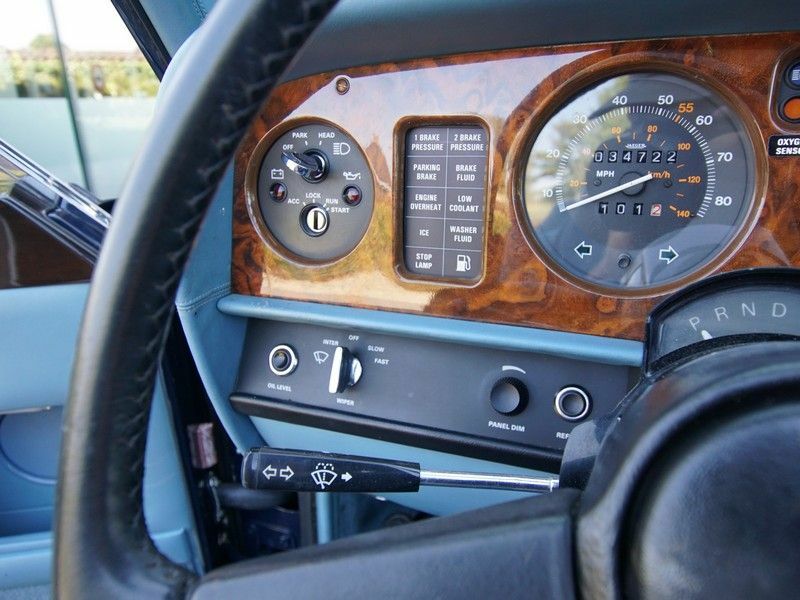 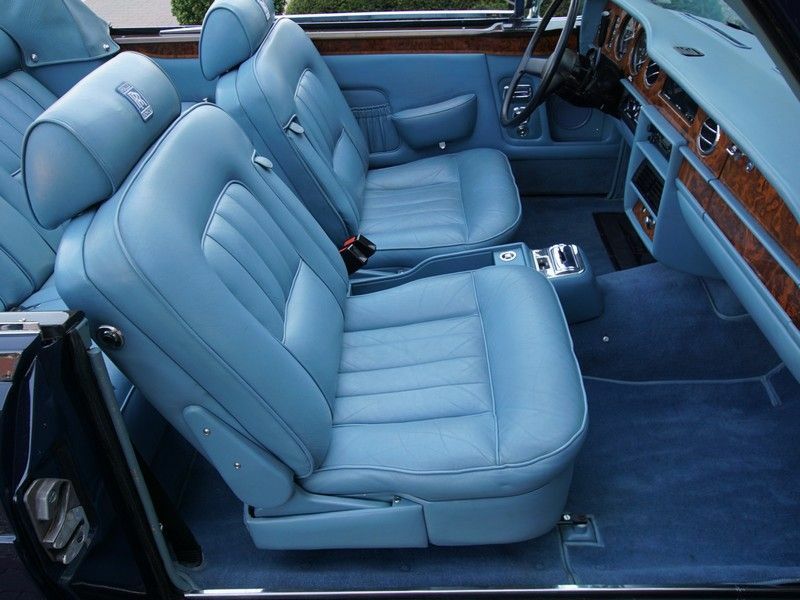 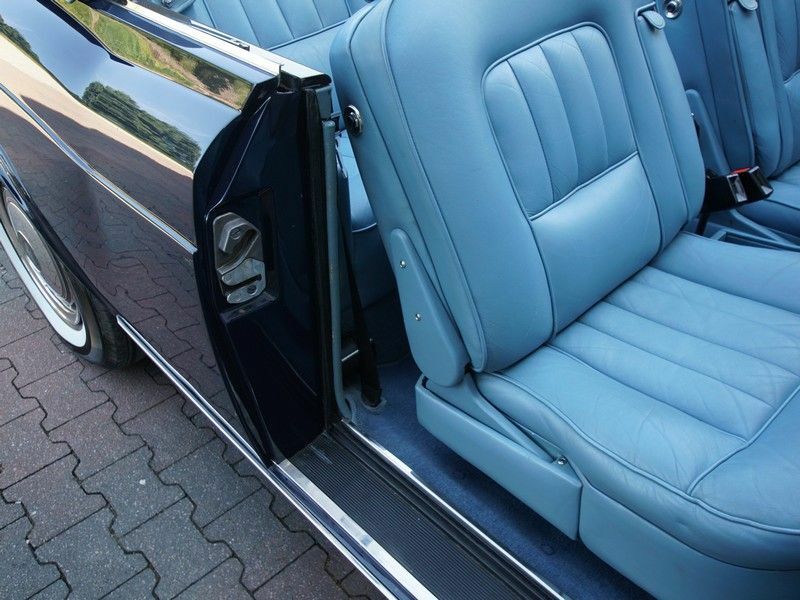 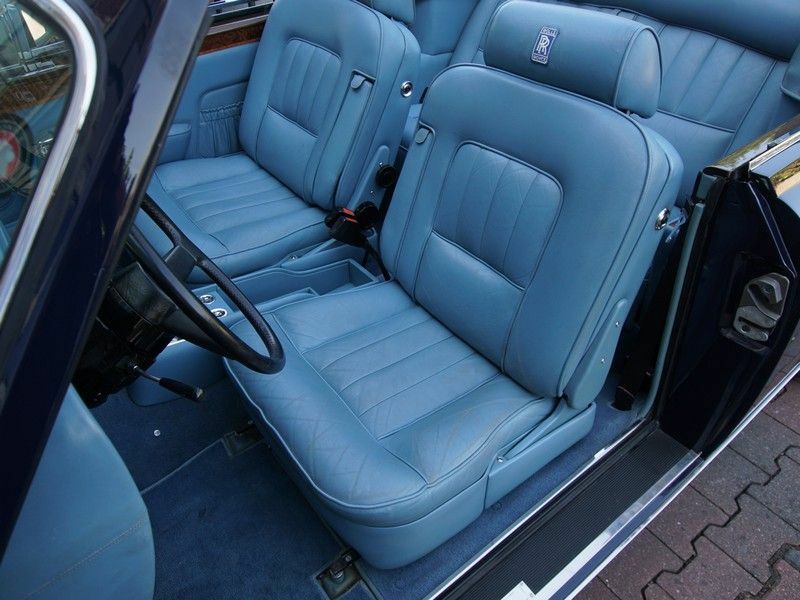 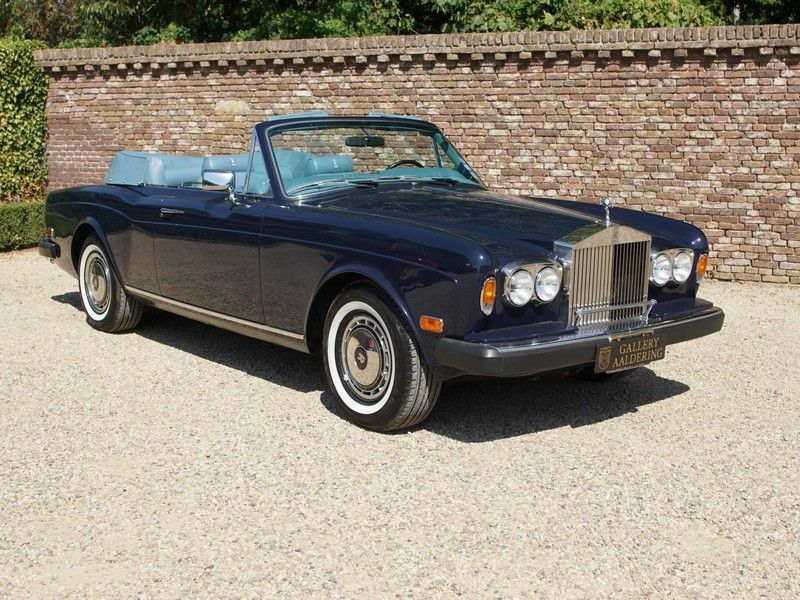 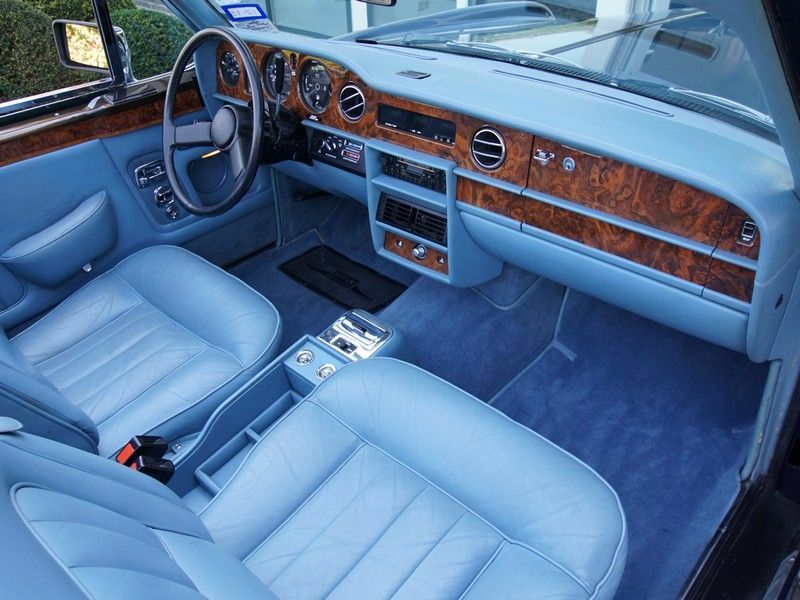 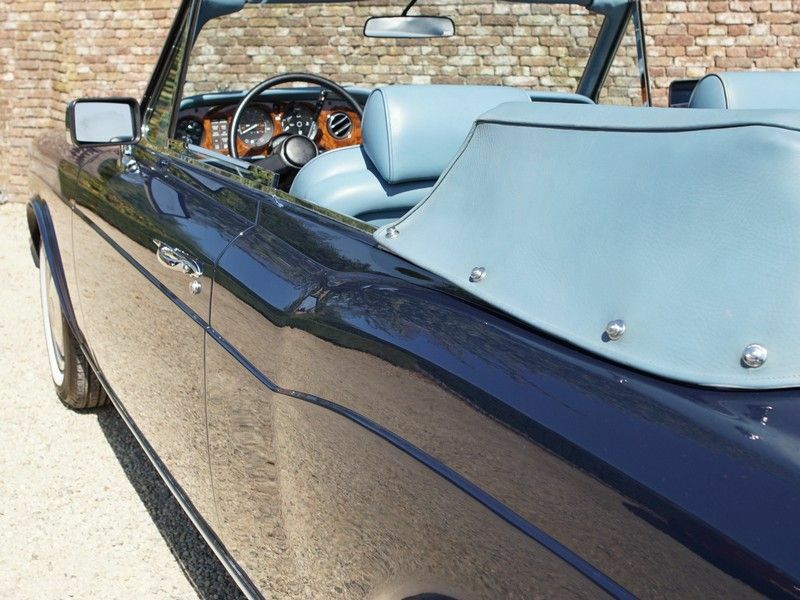 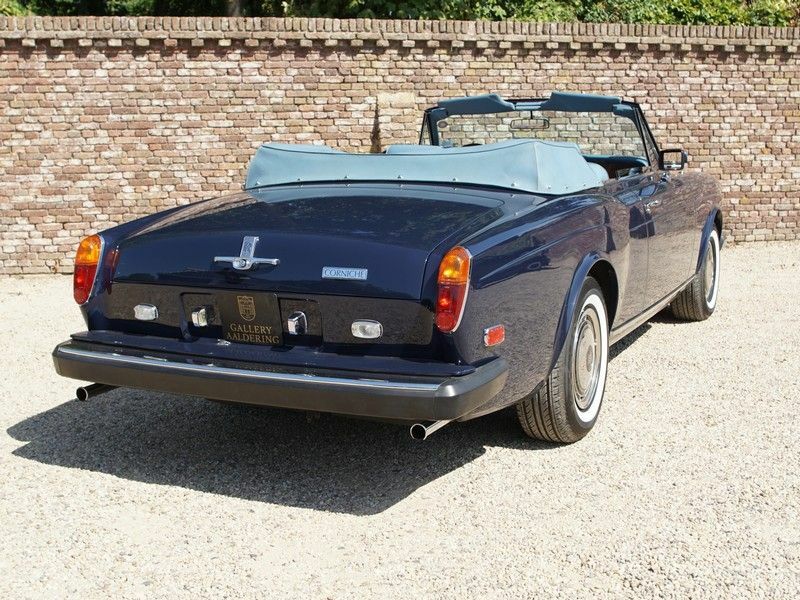 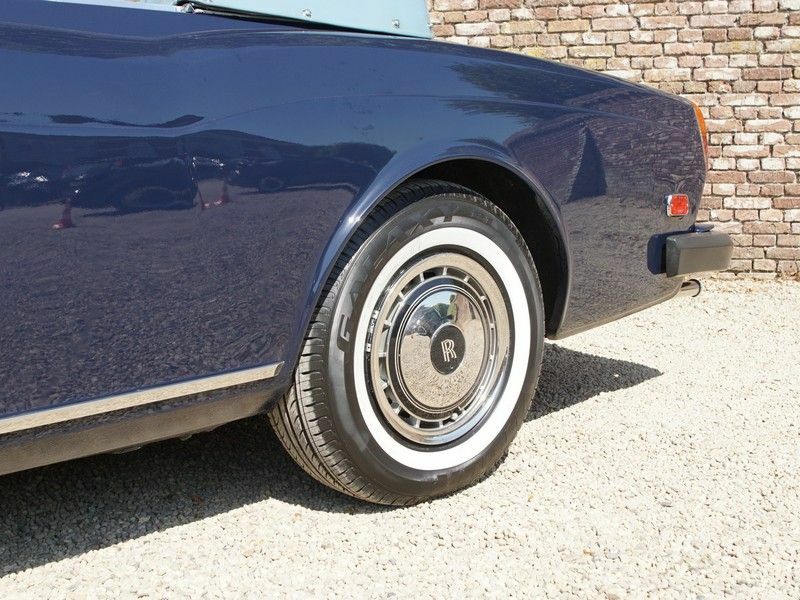 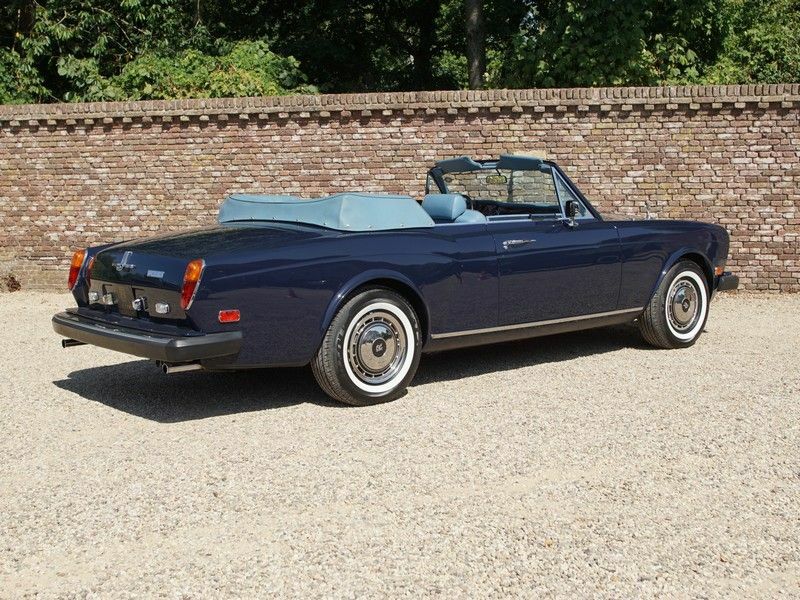 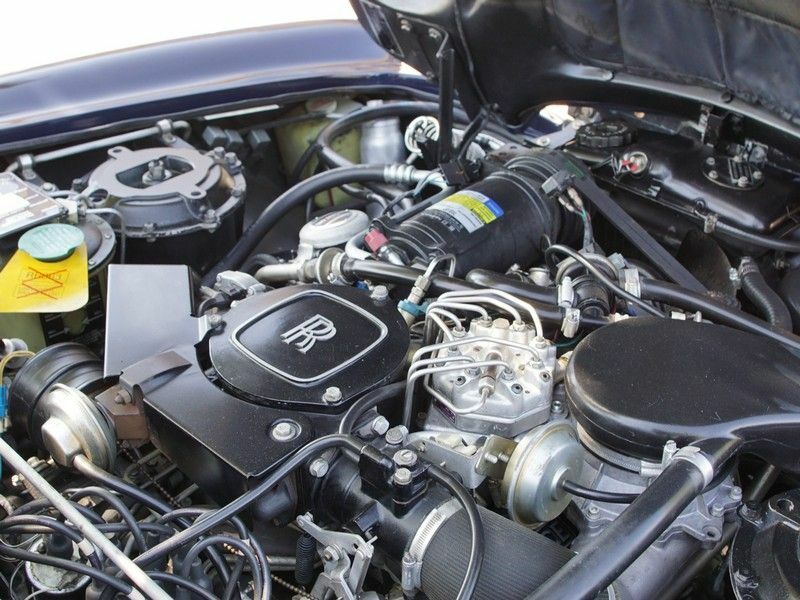 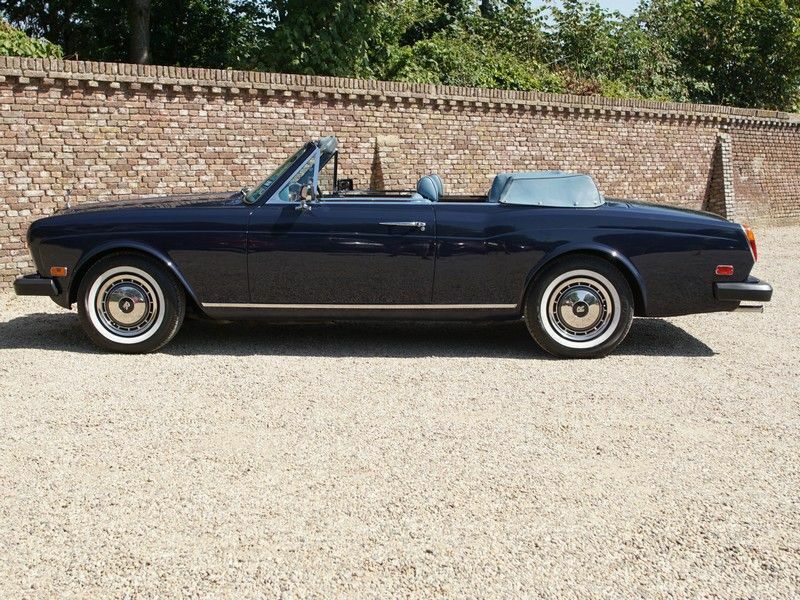 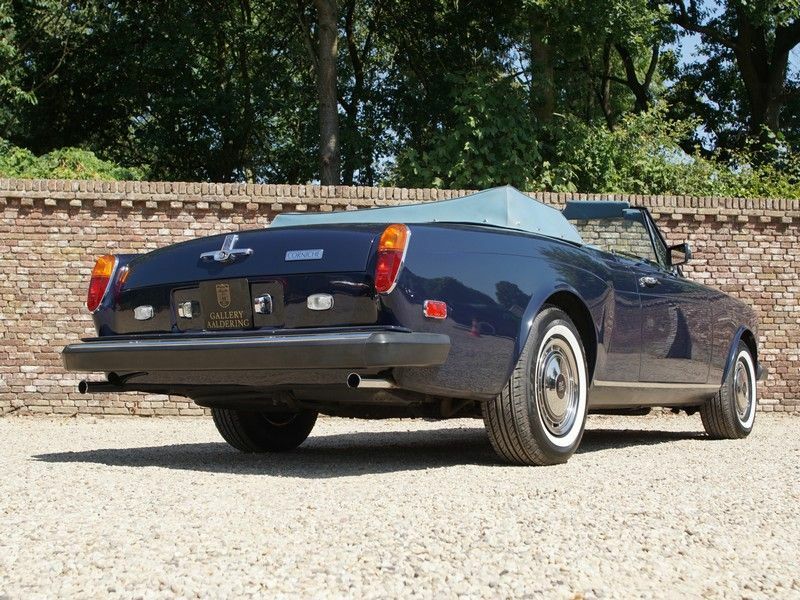 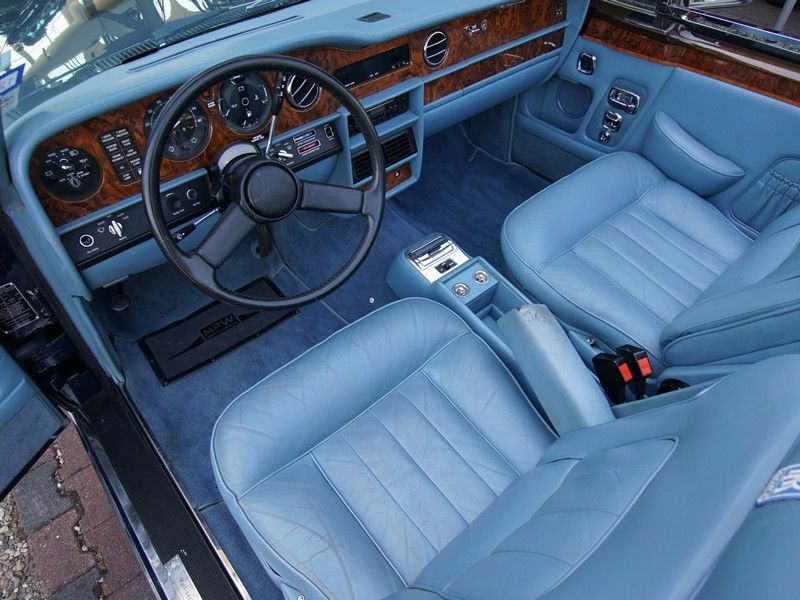 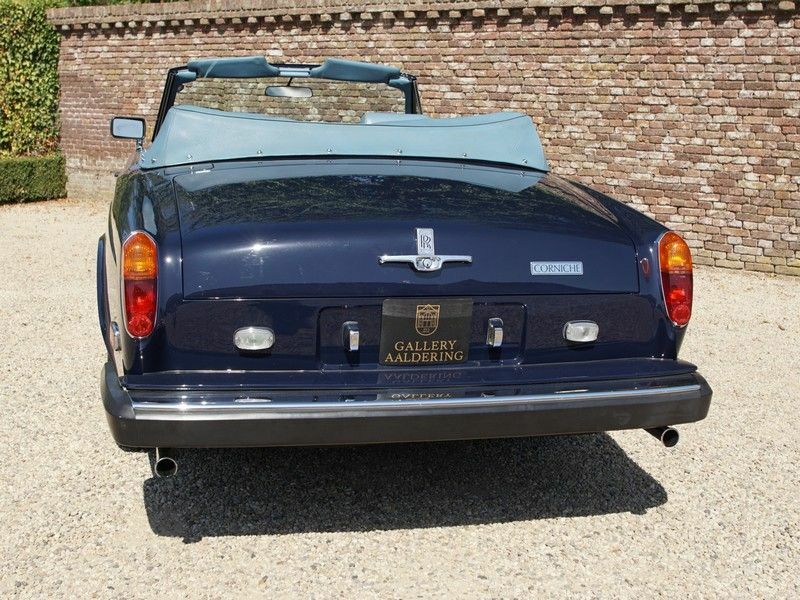 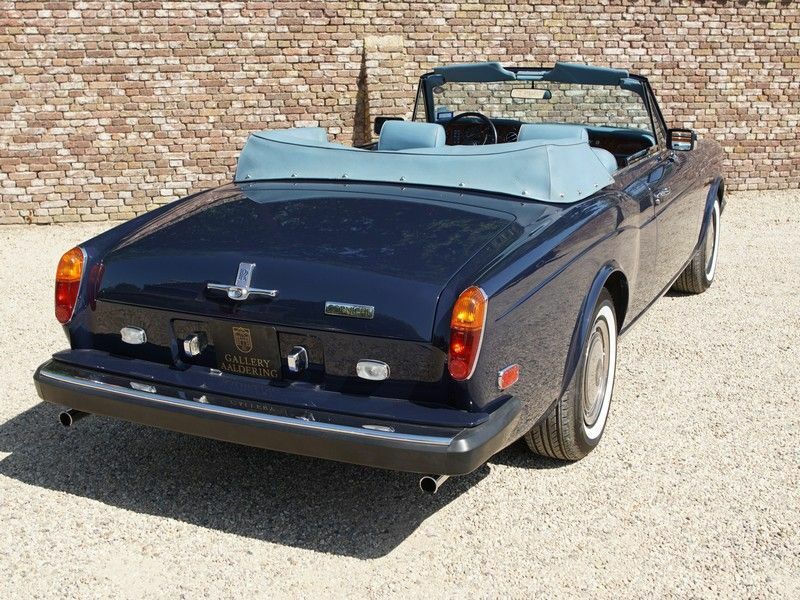 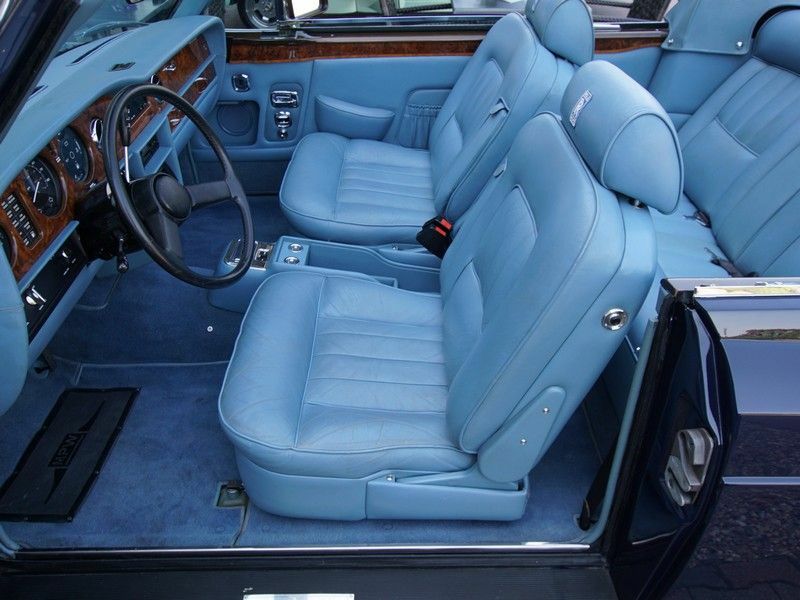 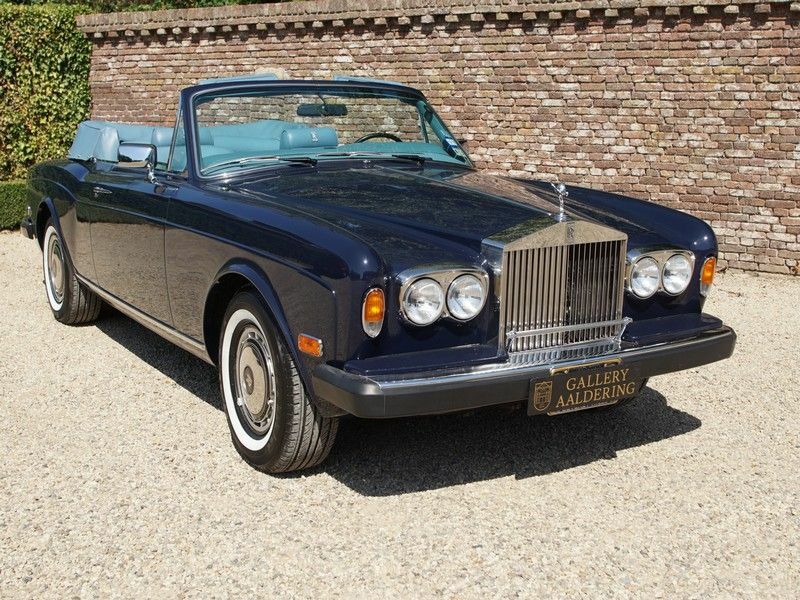 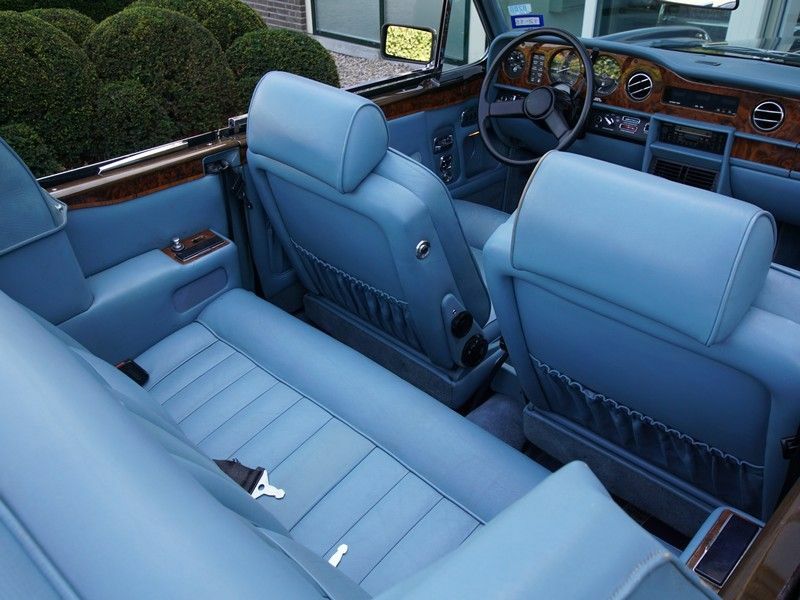 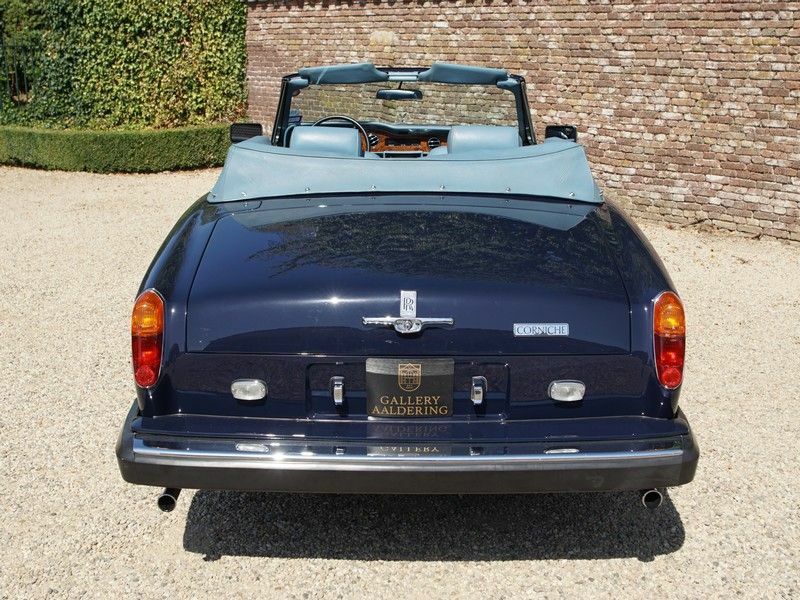 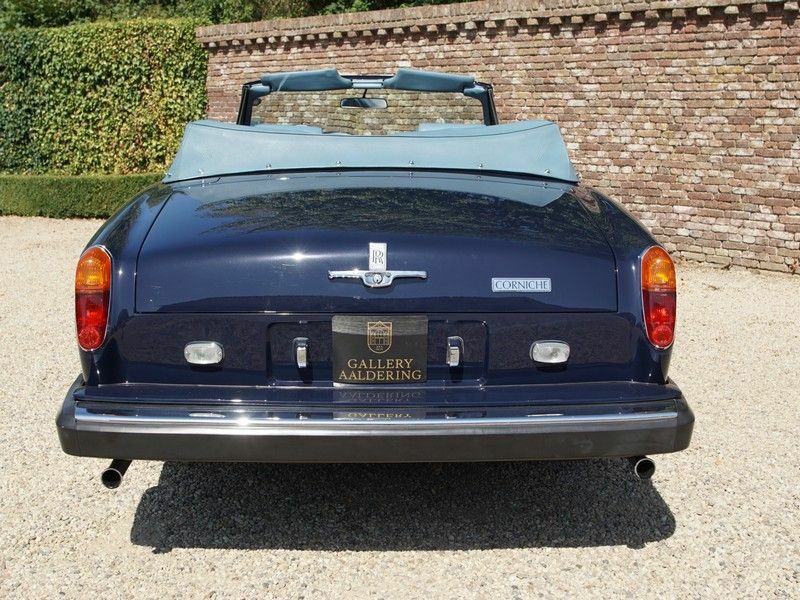 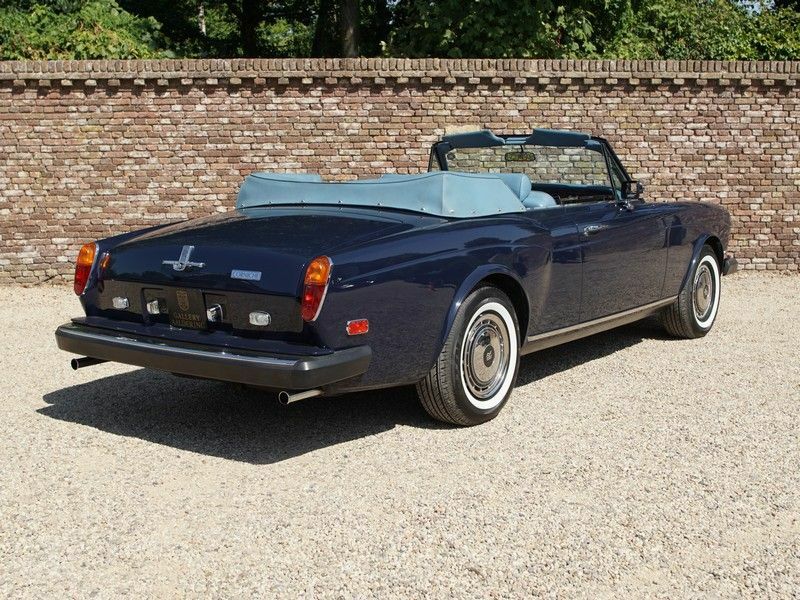 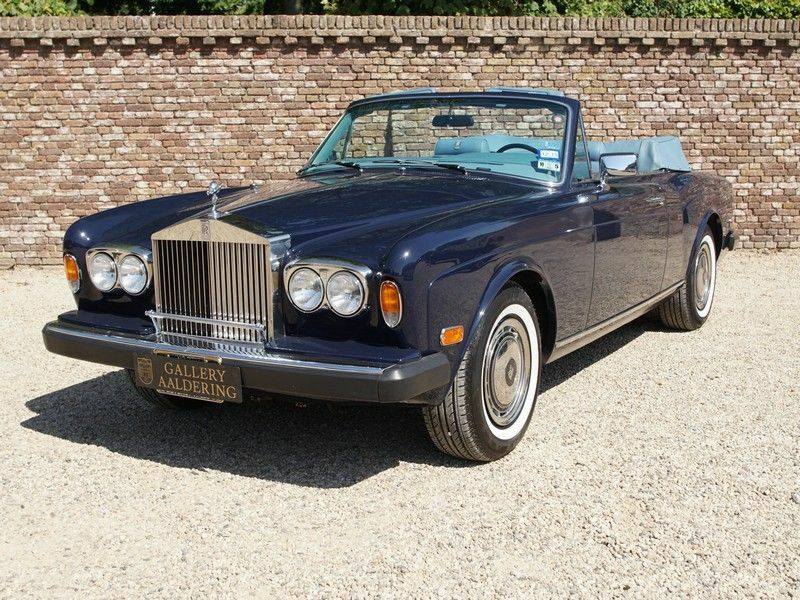 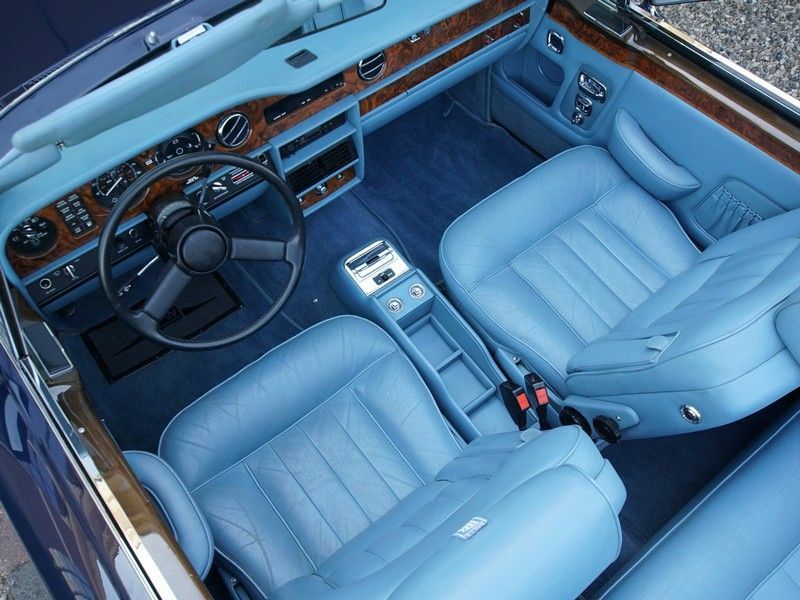 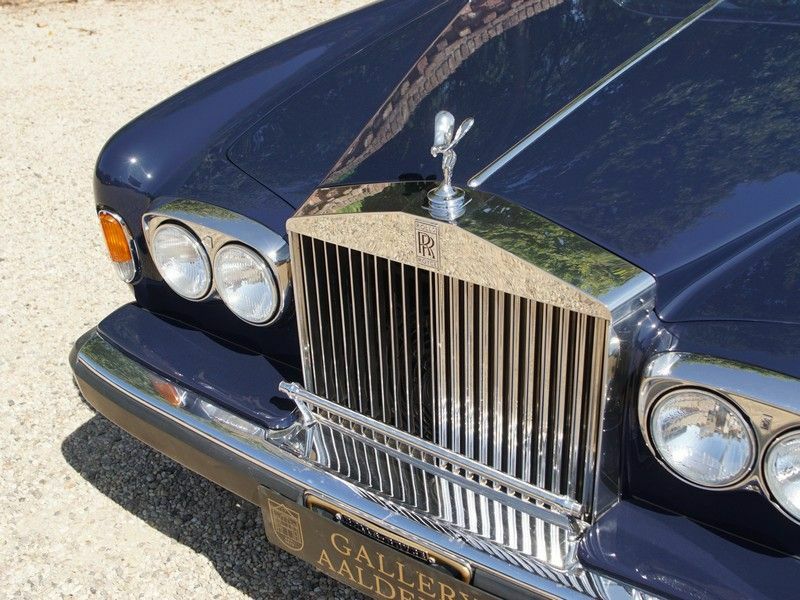 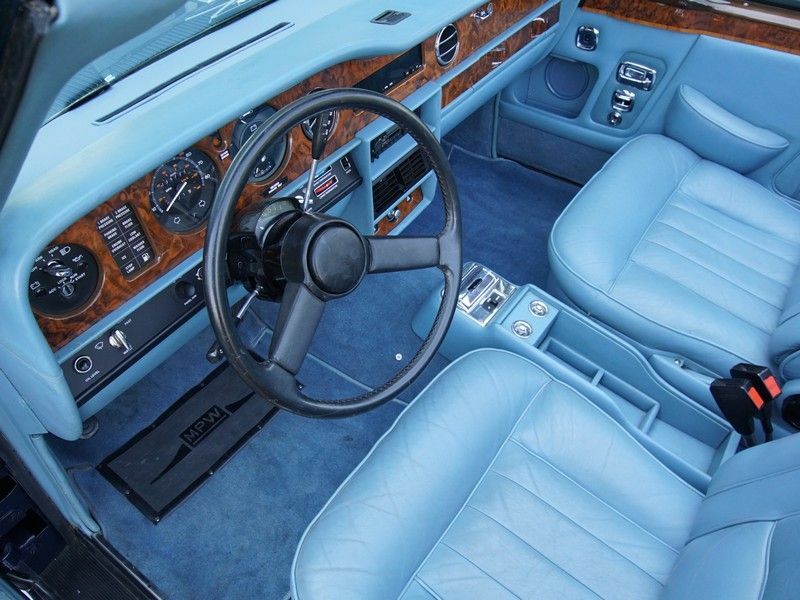 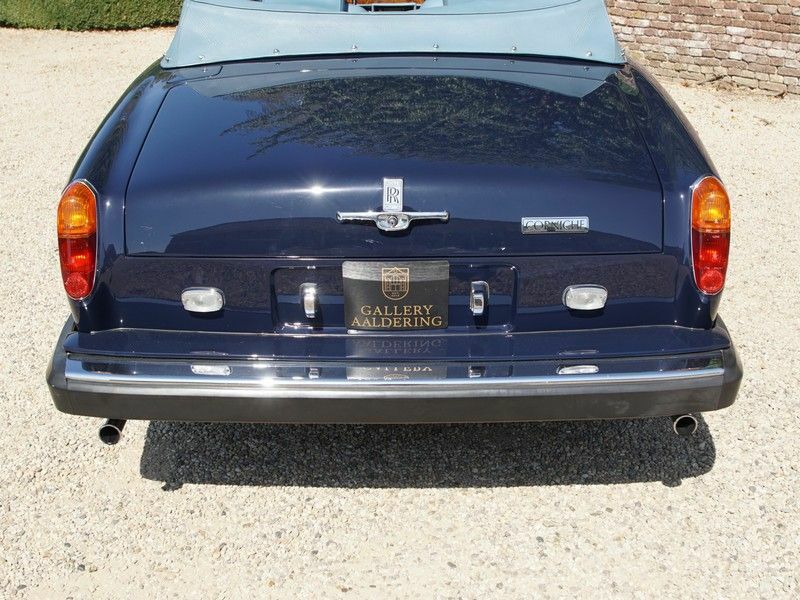 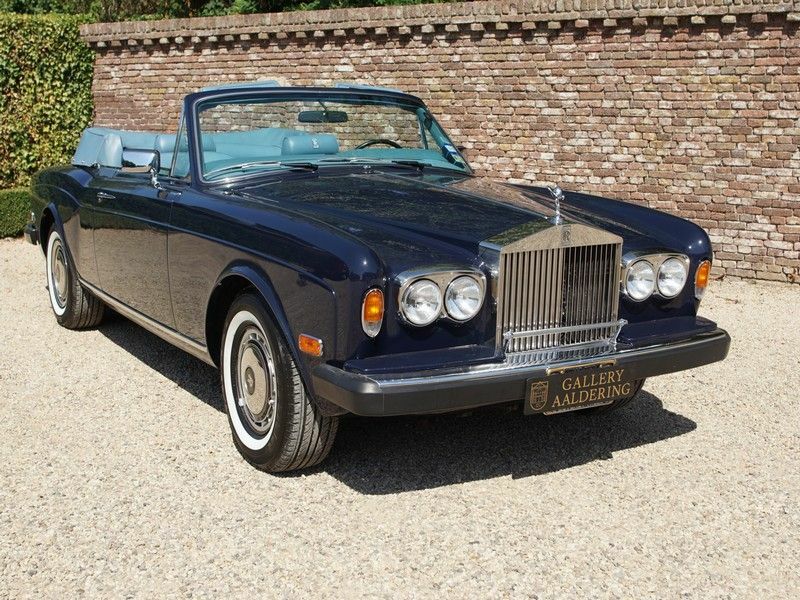 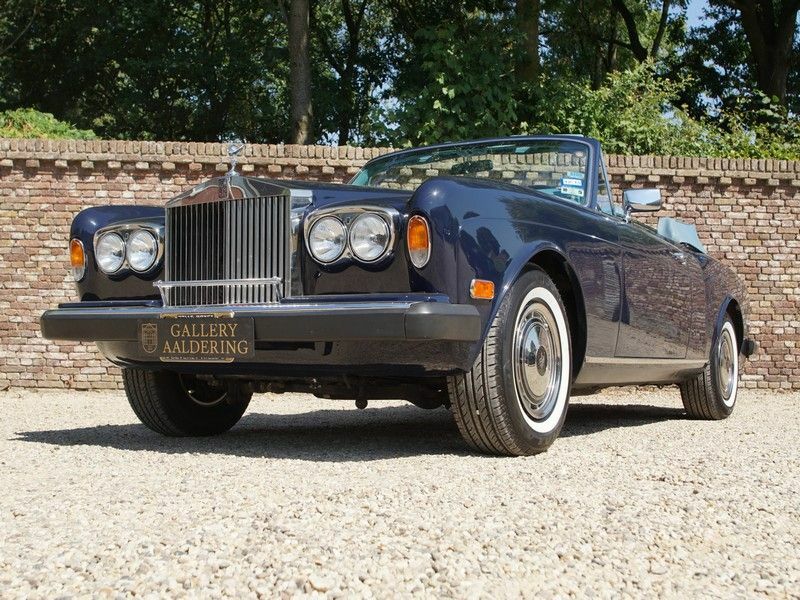 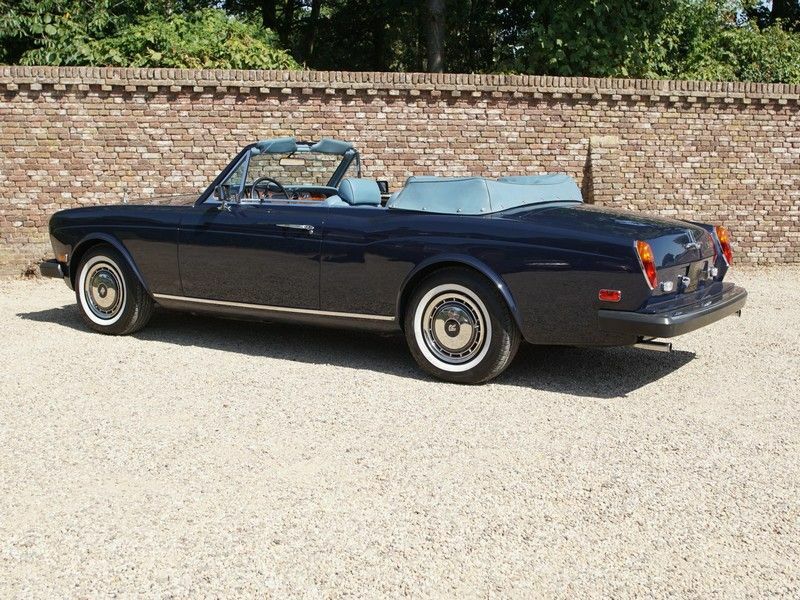 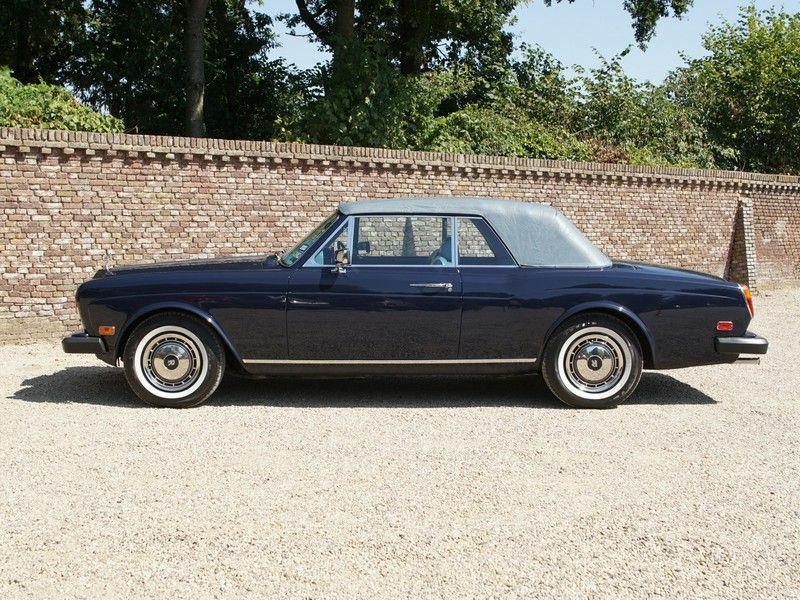 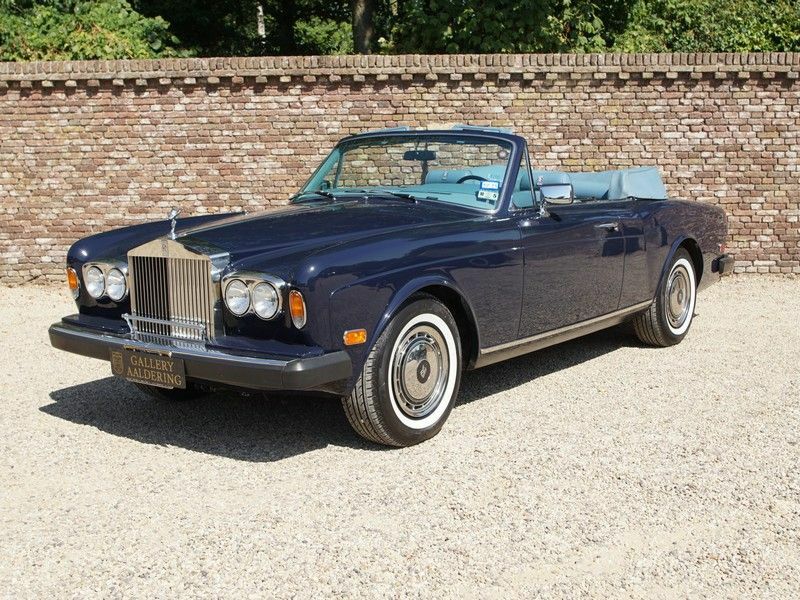 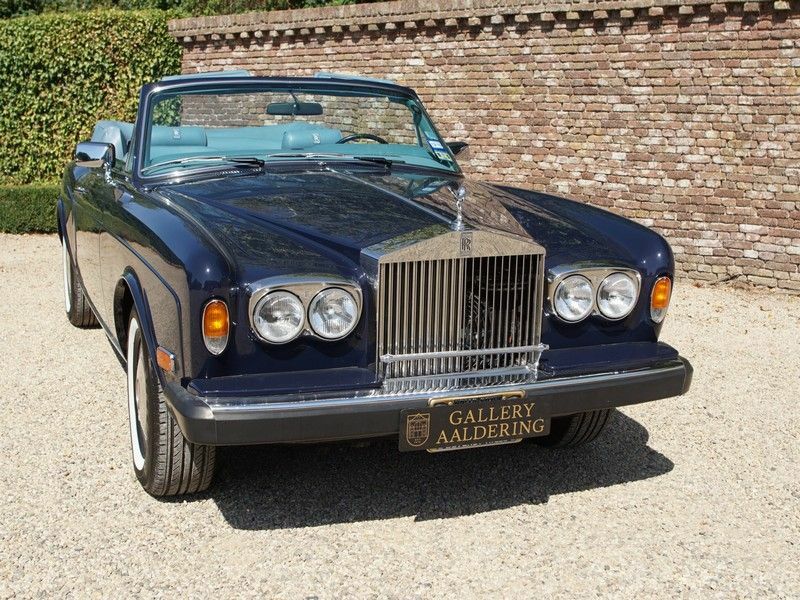 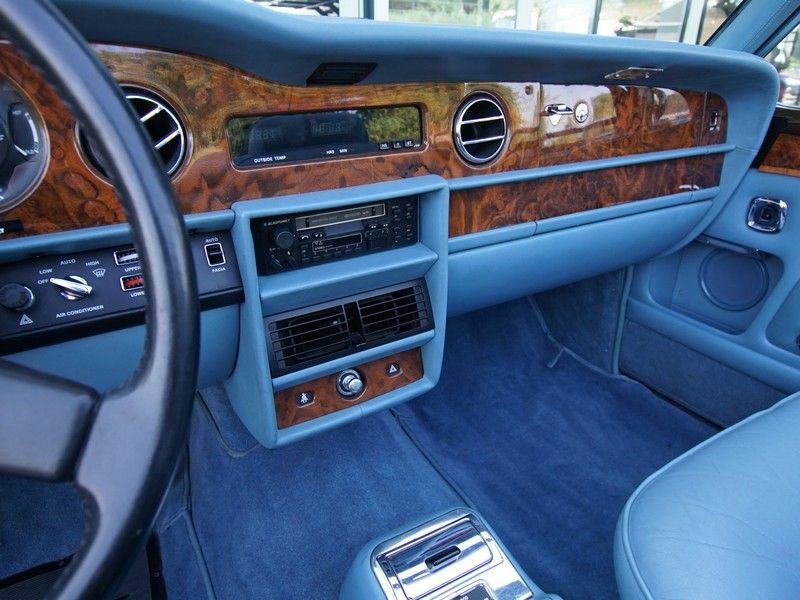 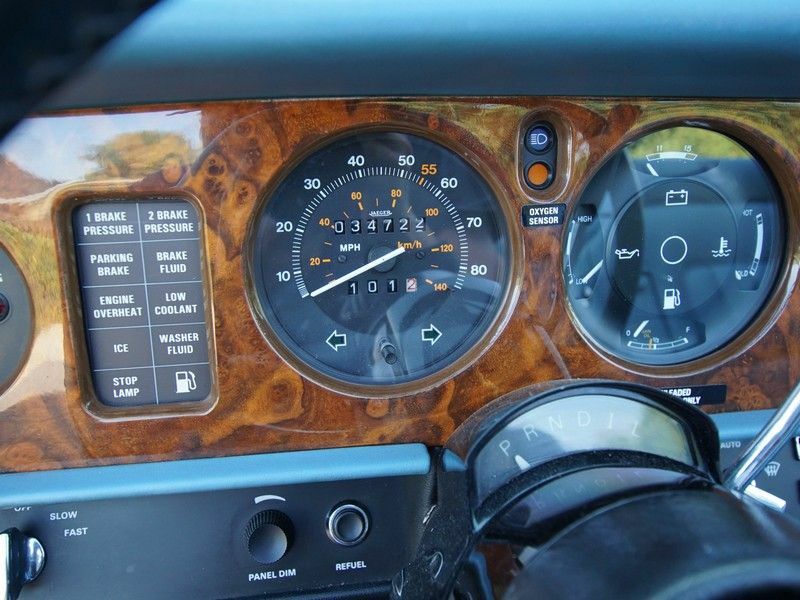 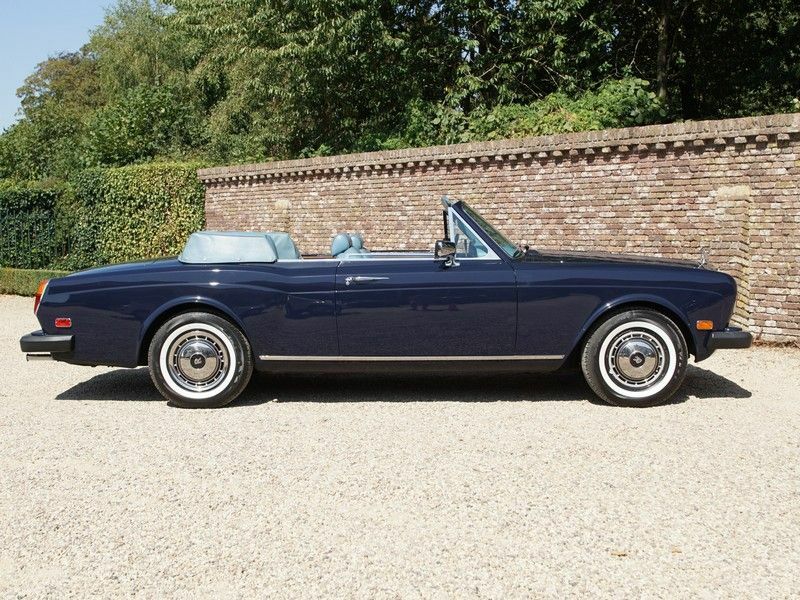 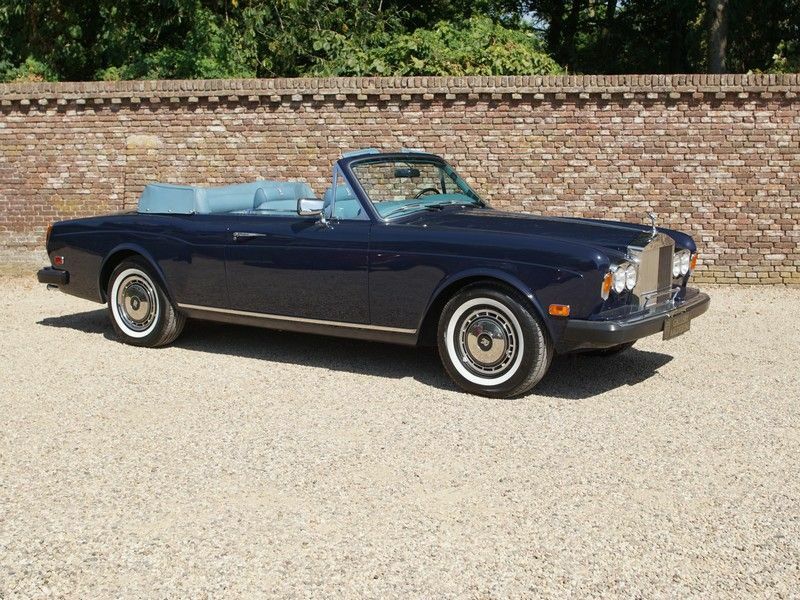 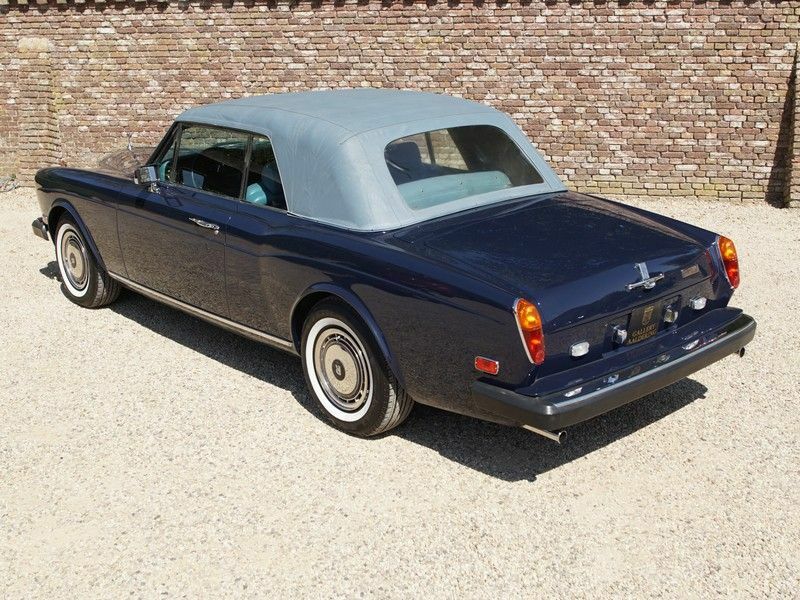 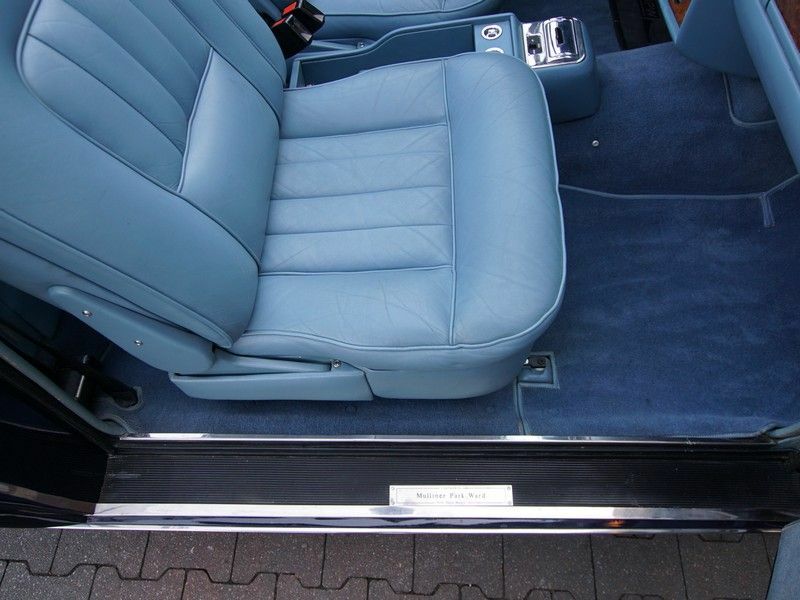 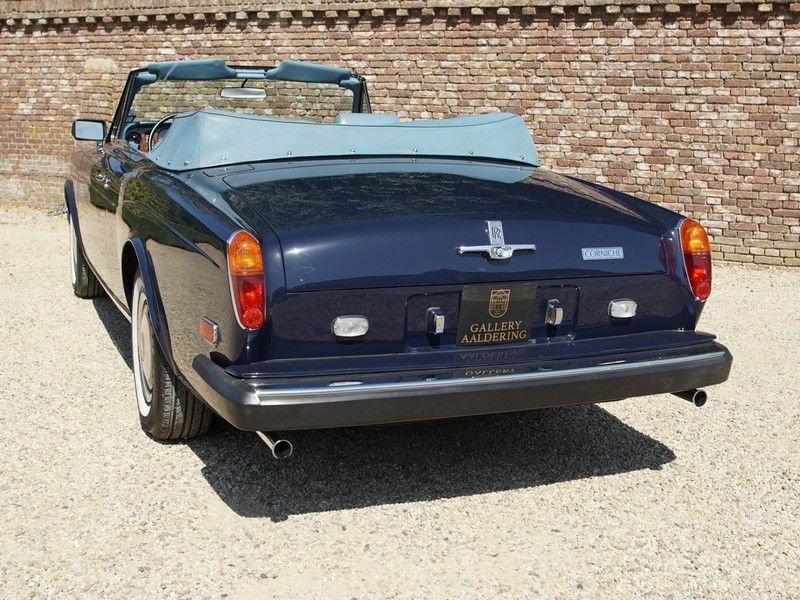 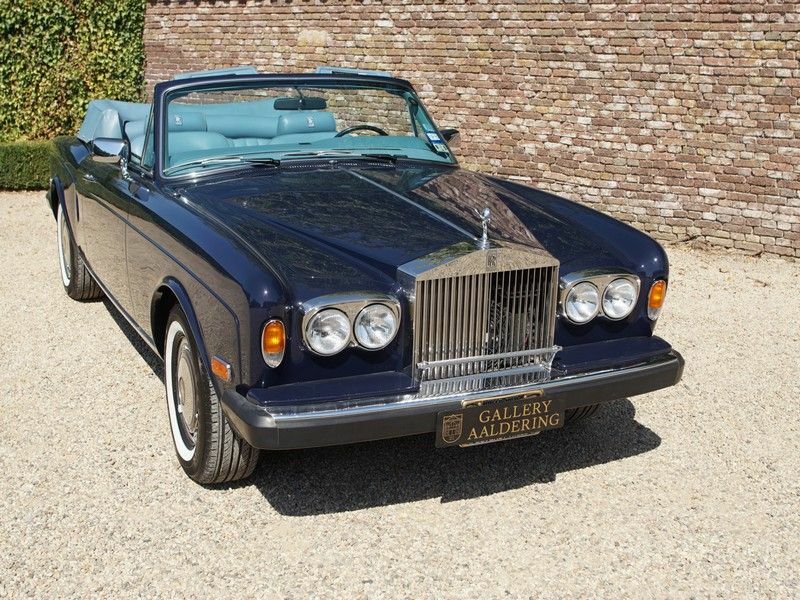 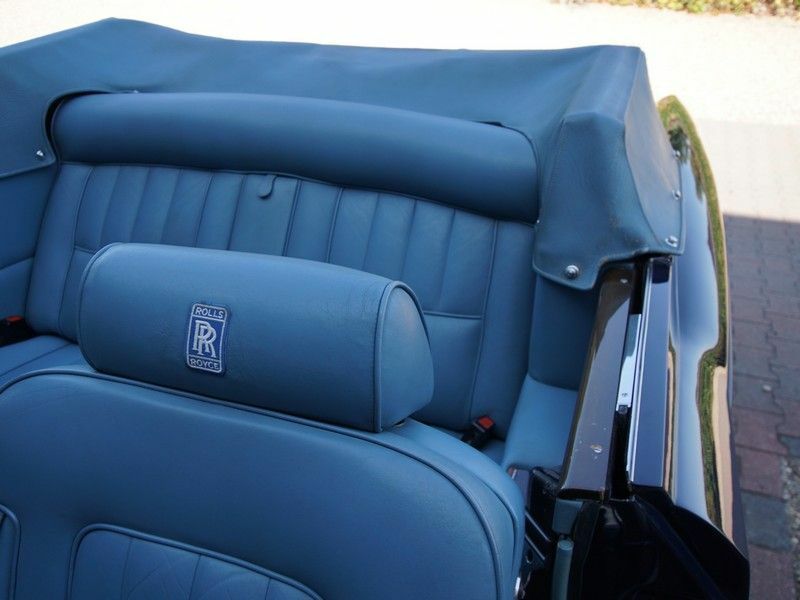 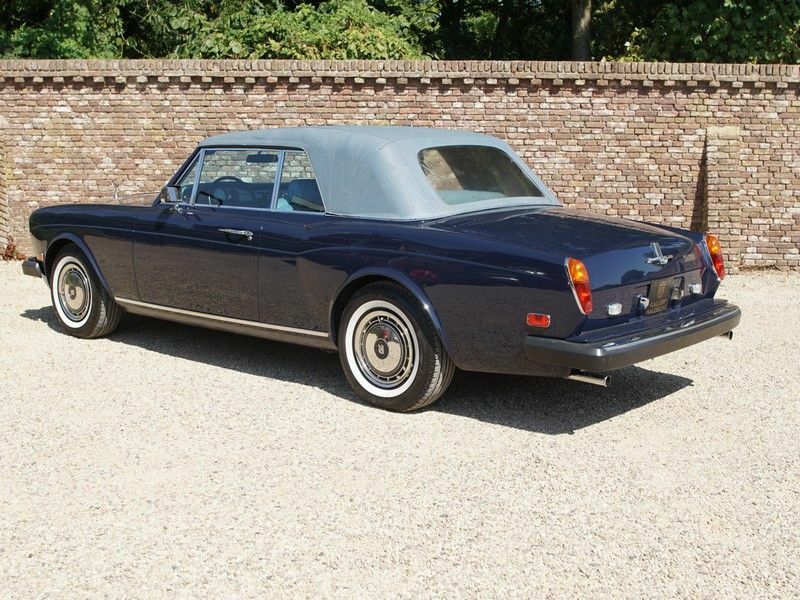 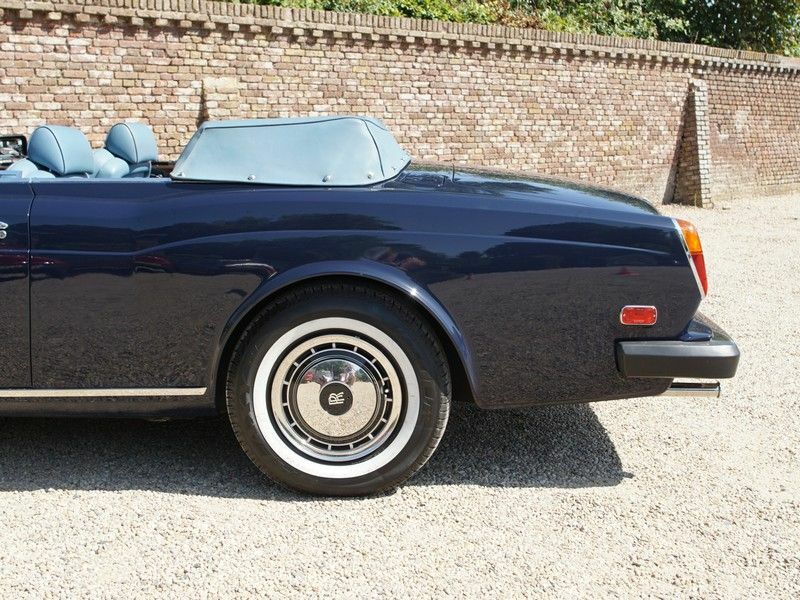 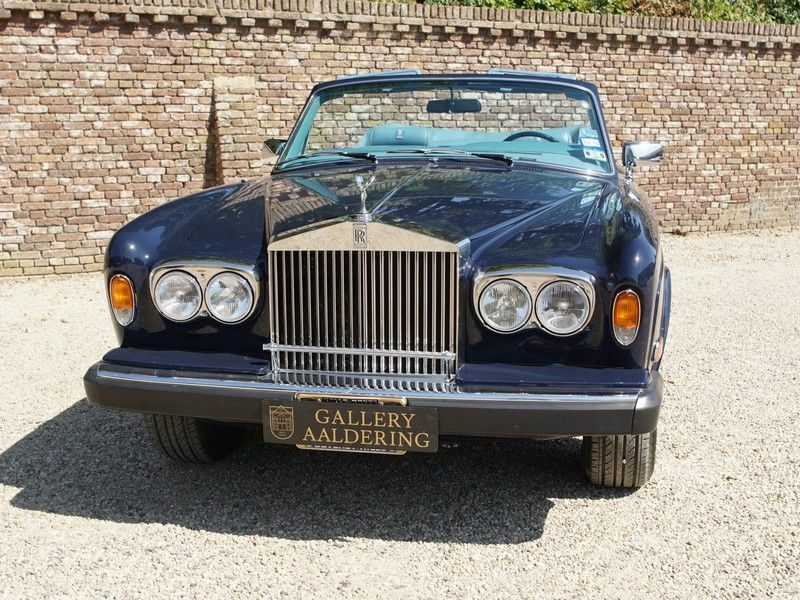 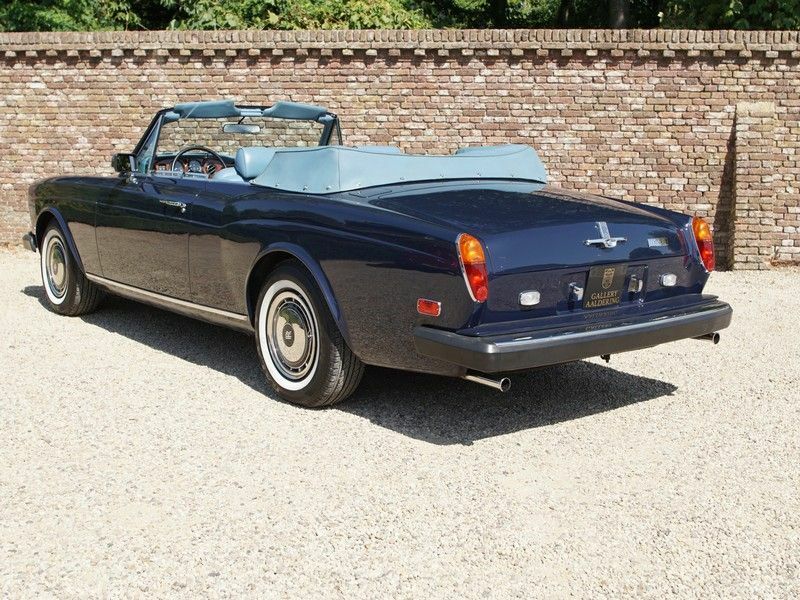 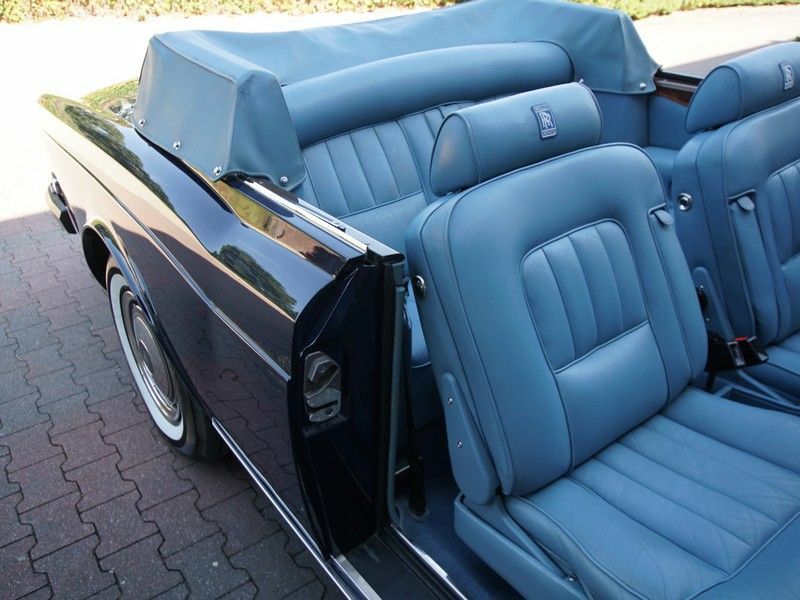 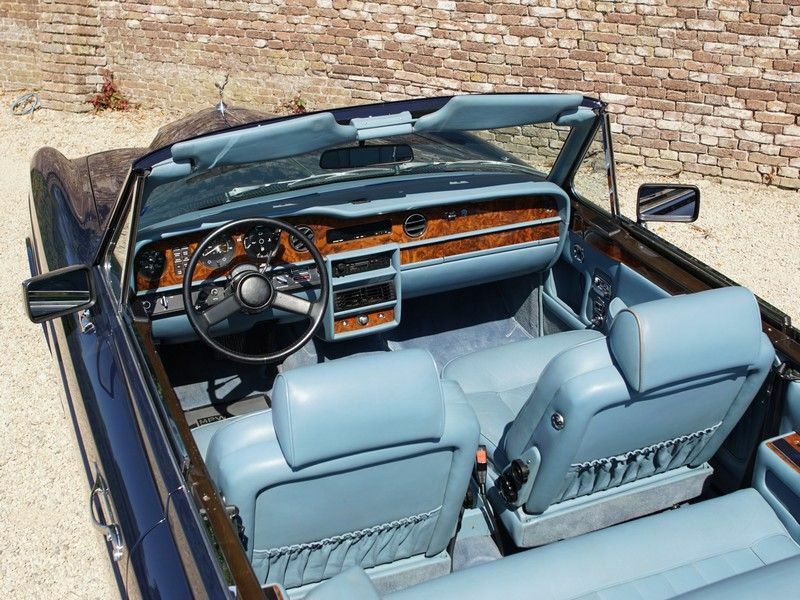 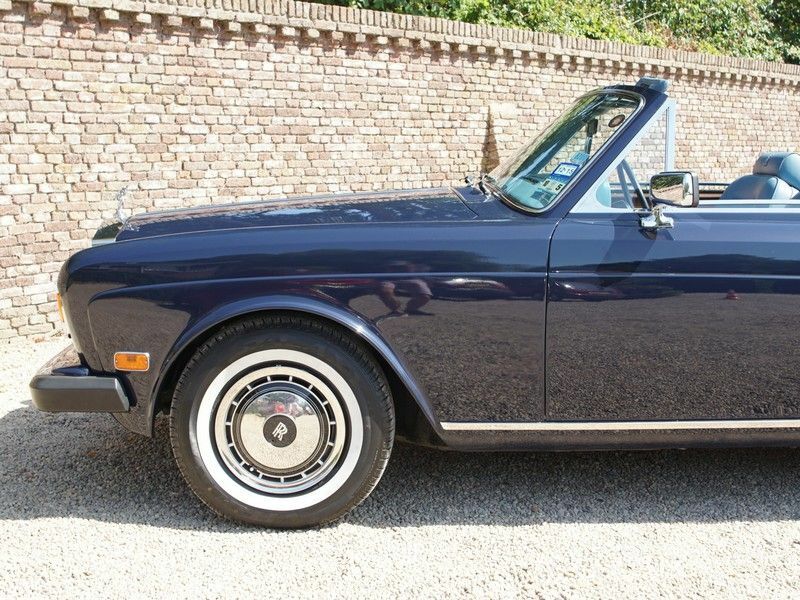 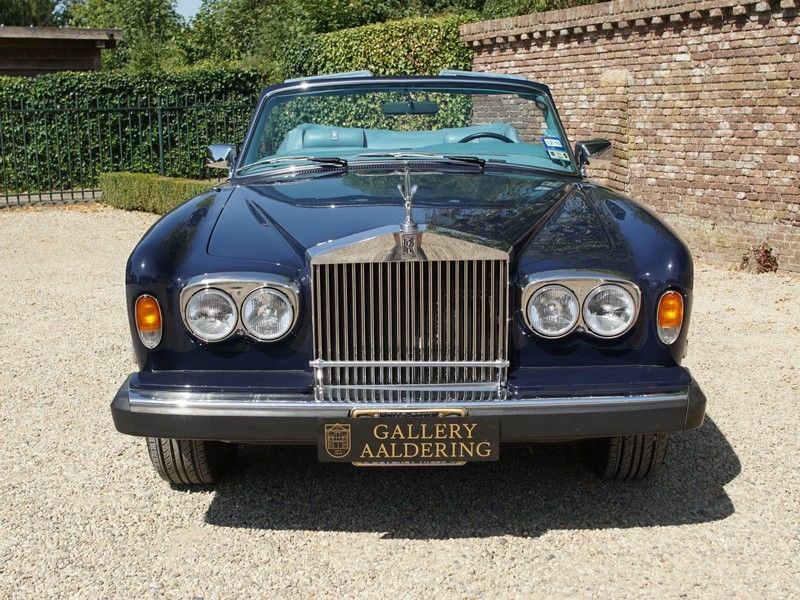 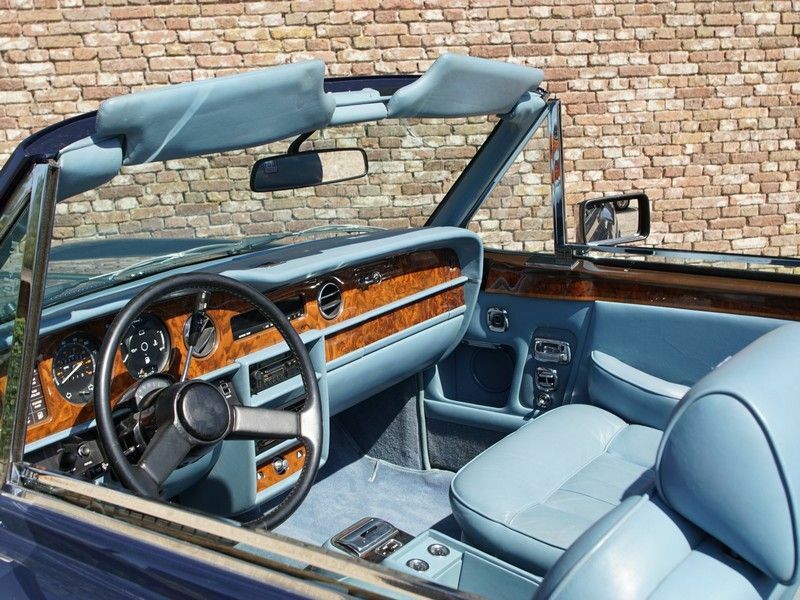 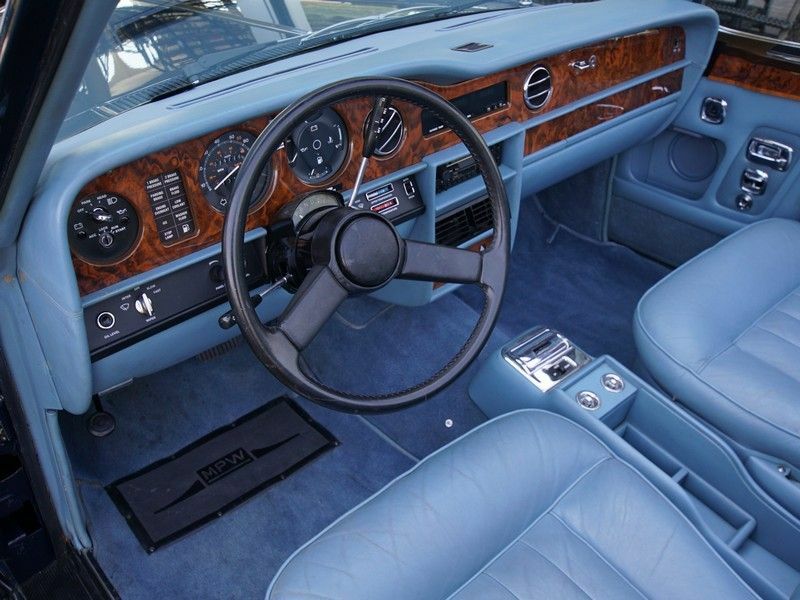 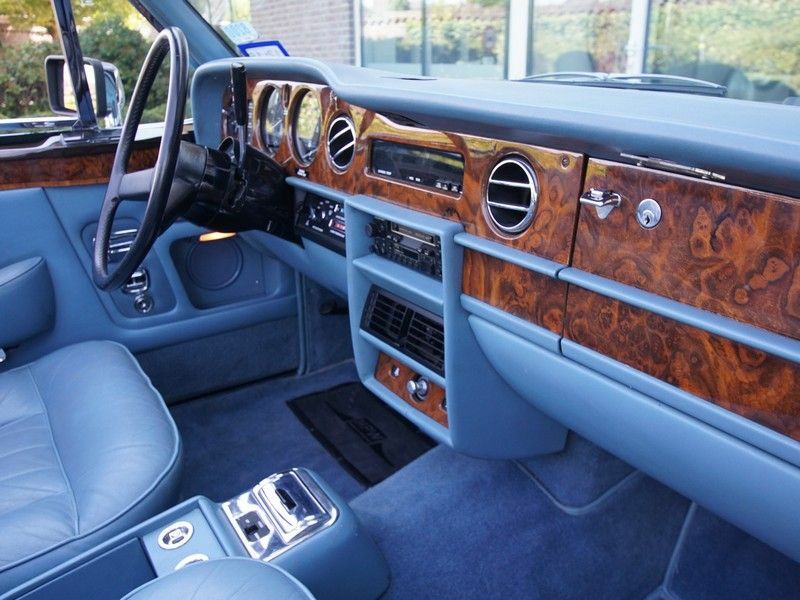 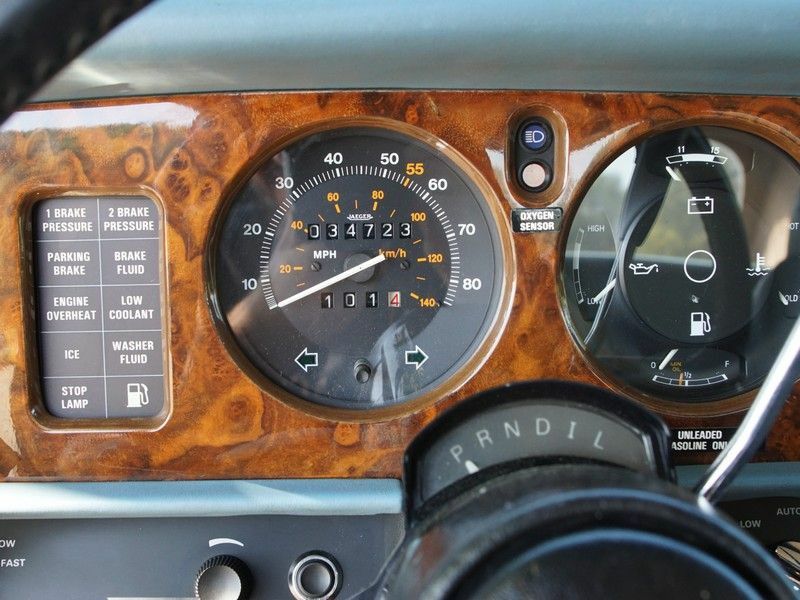 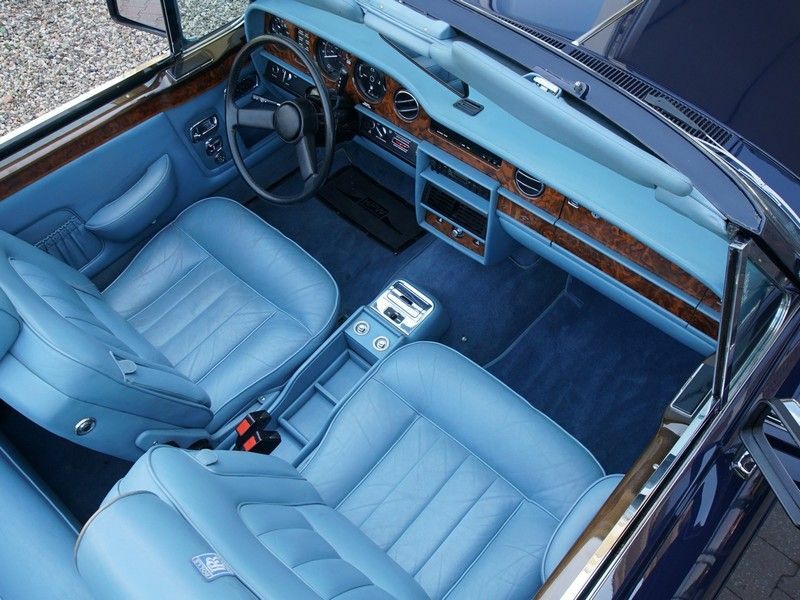 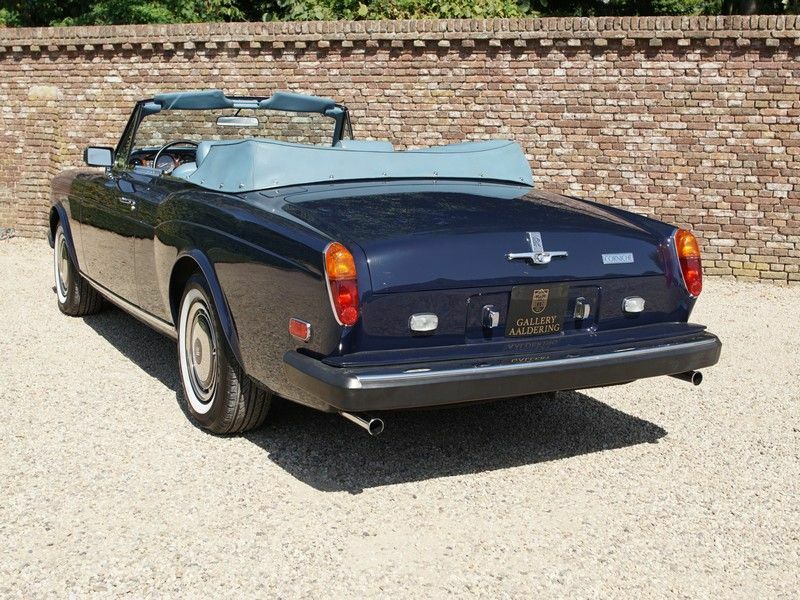 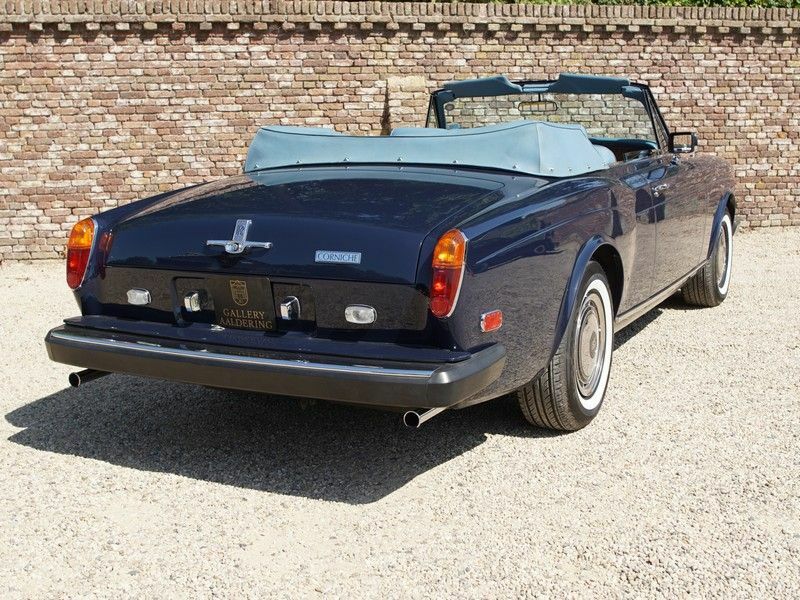 We are more than happy to recommend a viewing of this gorgeously colour-coded authentic Rolls Royce Corniche.